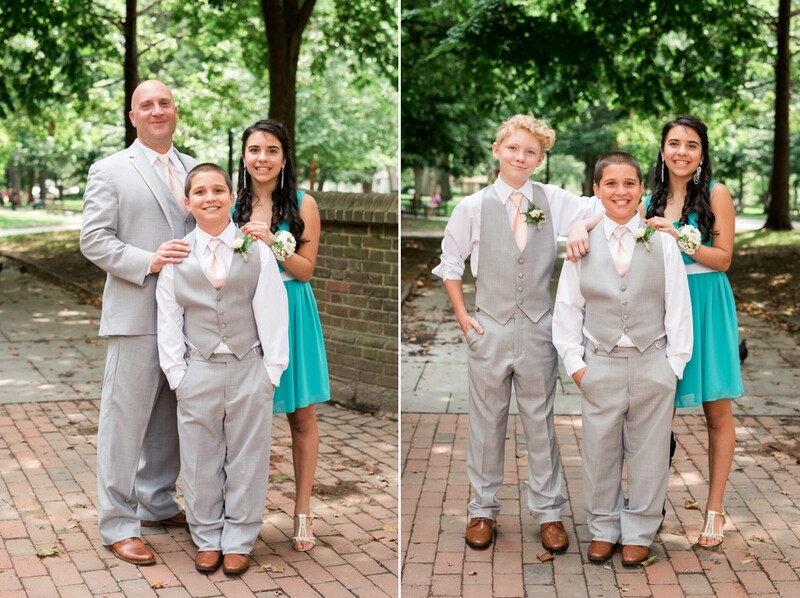 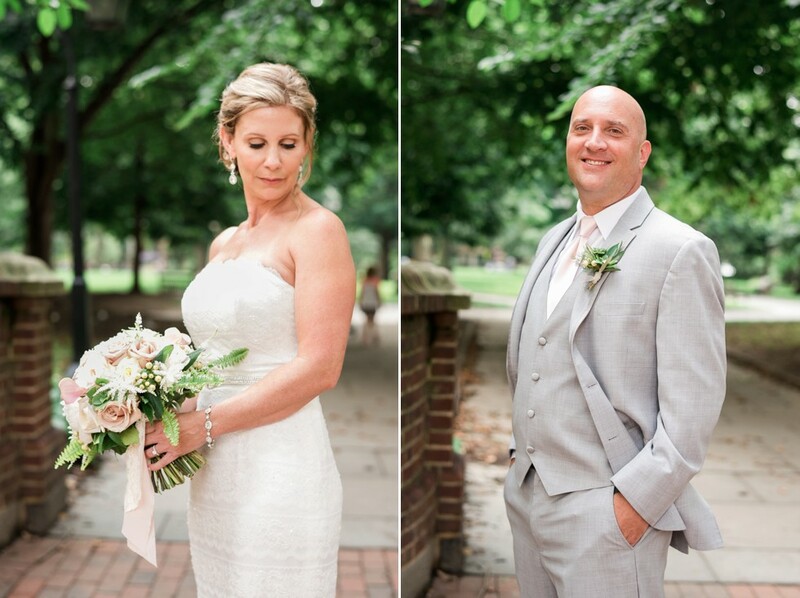 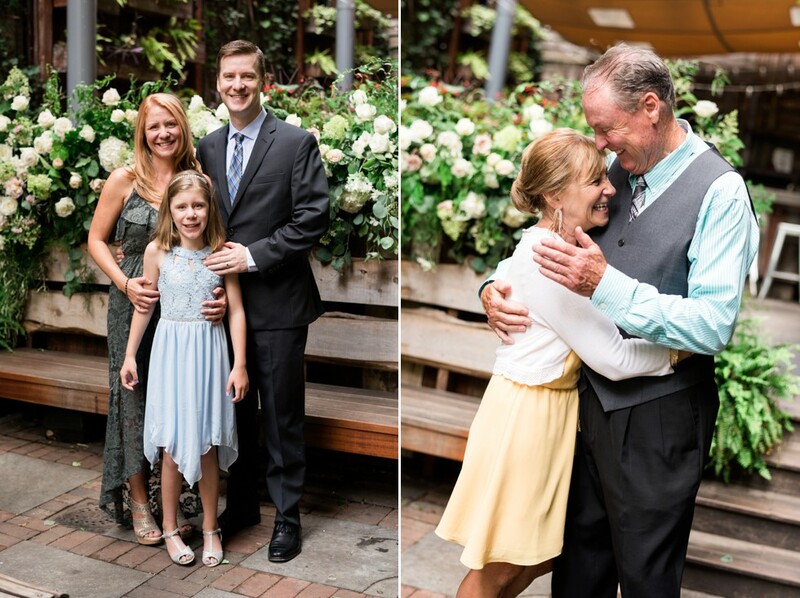 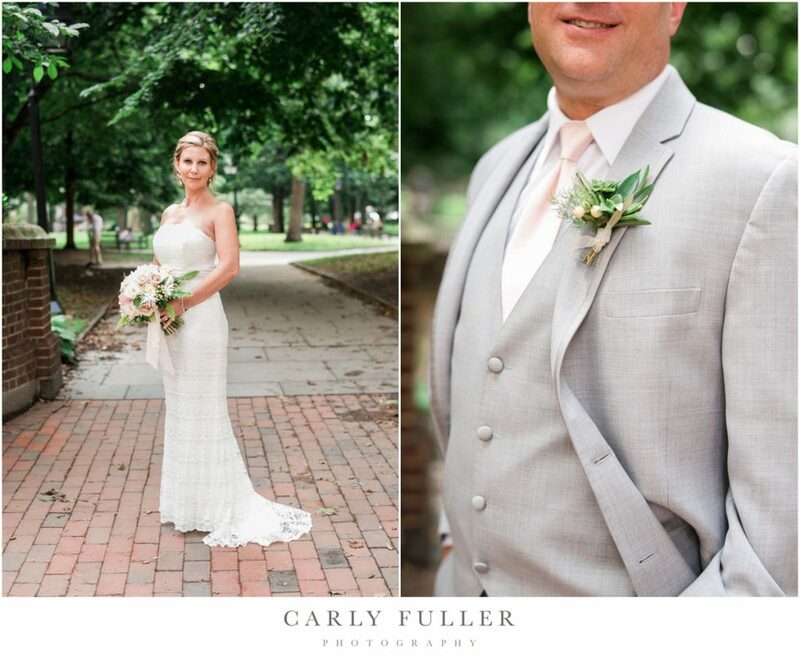 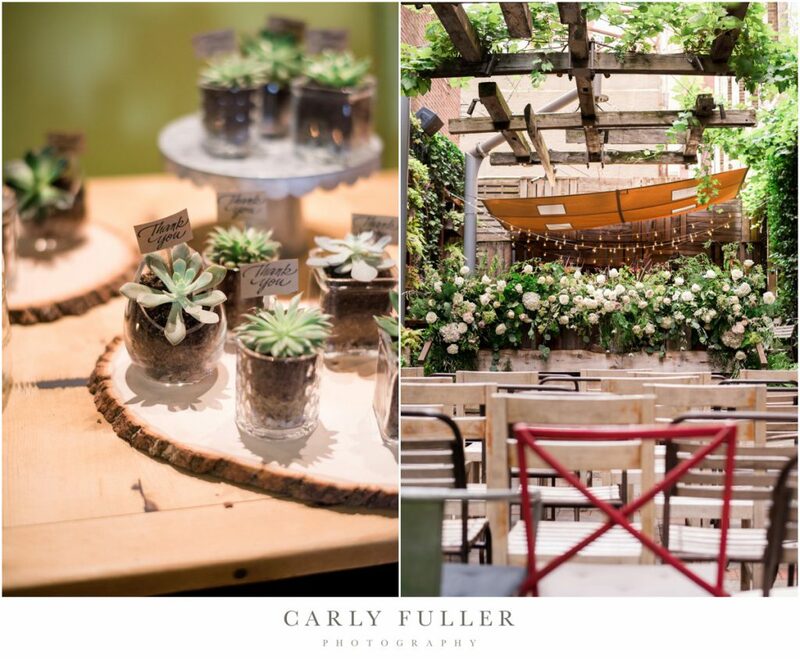 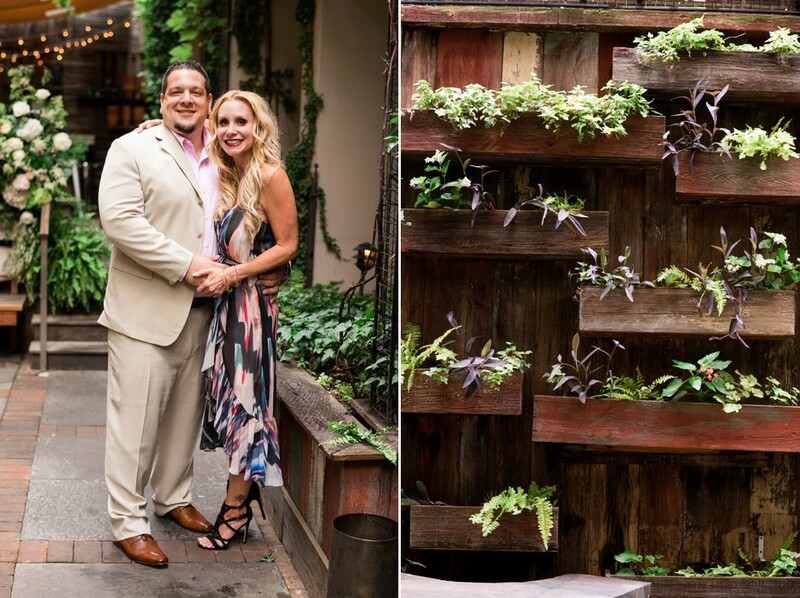 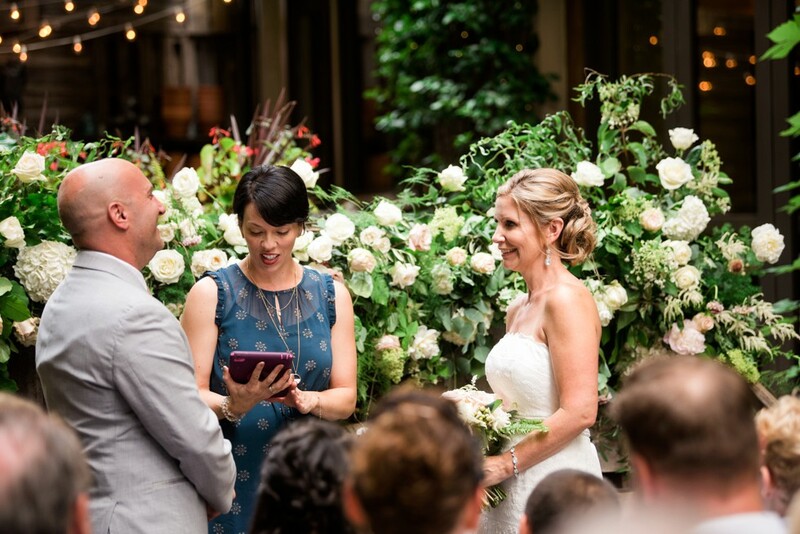 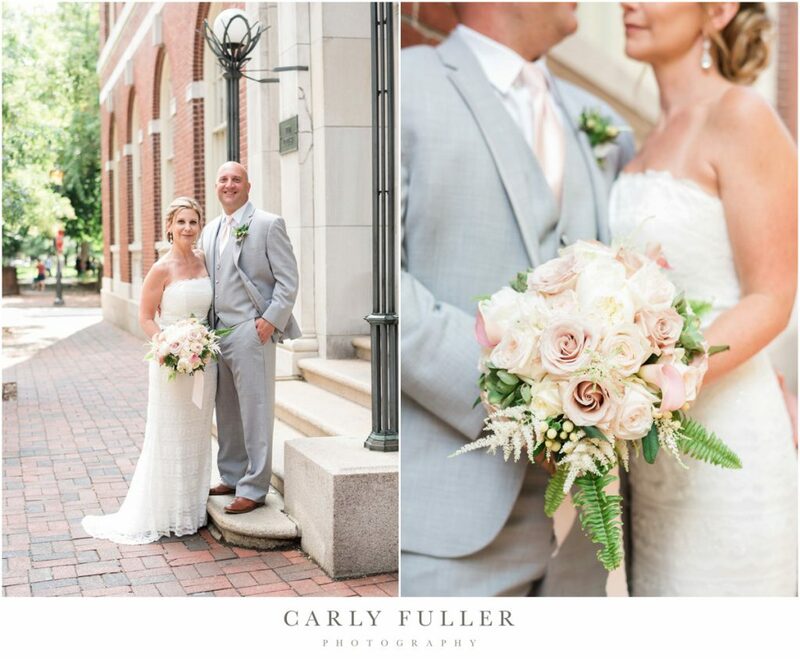 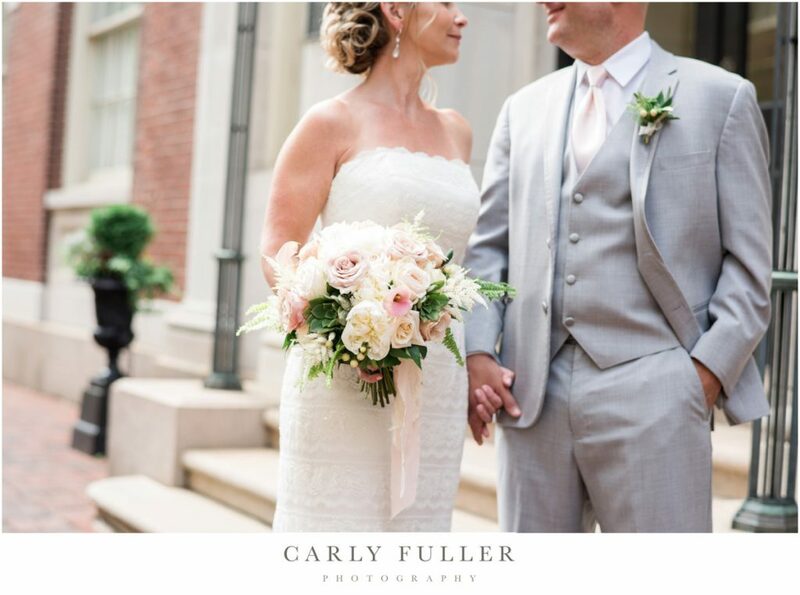 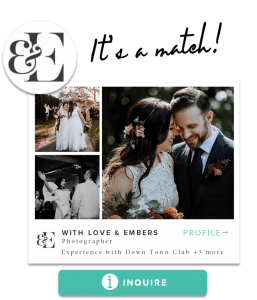 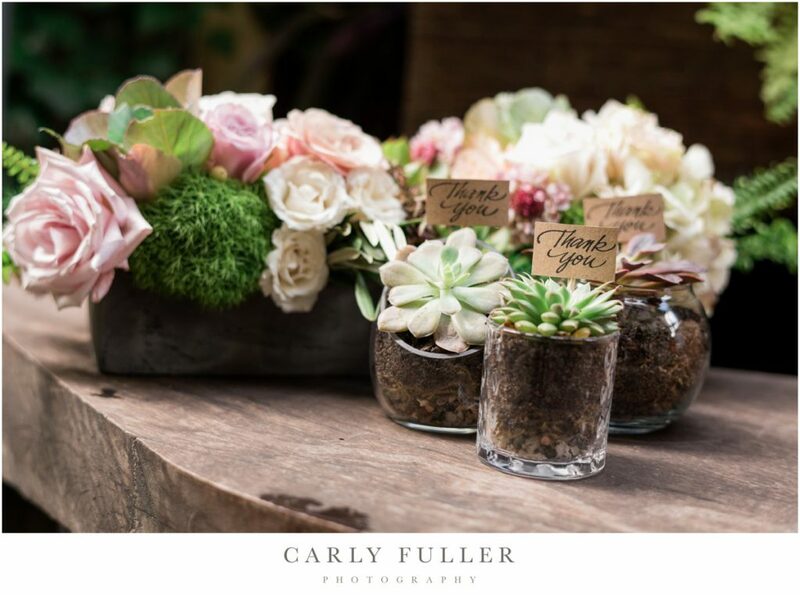 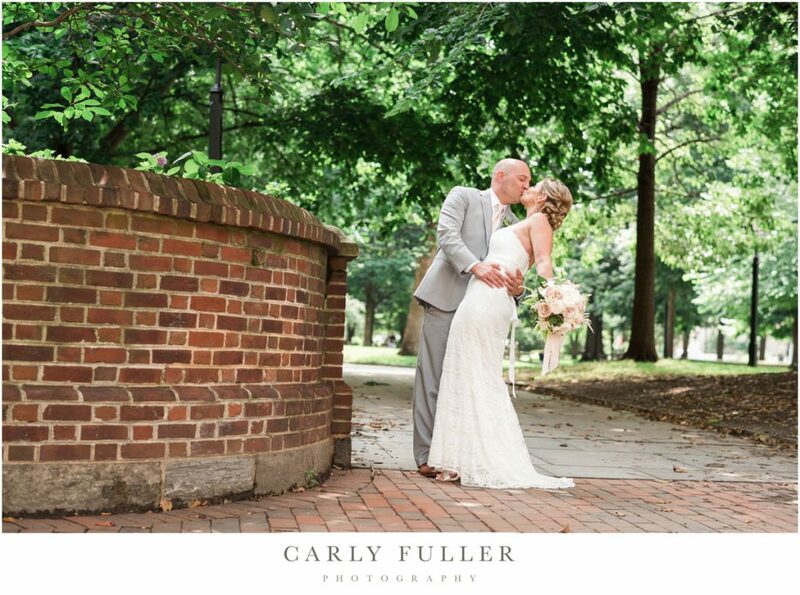 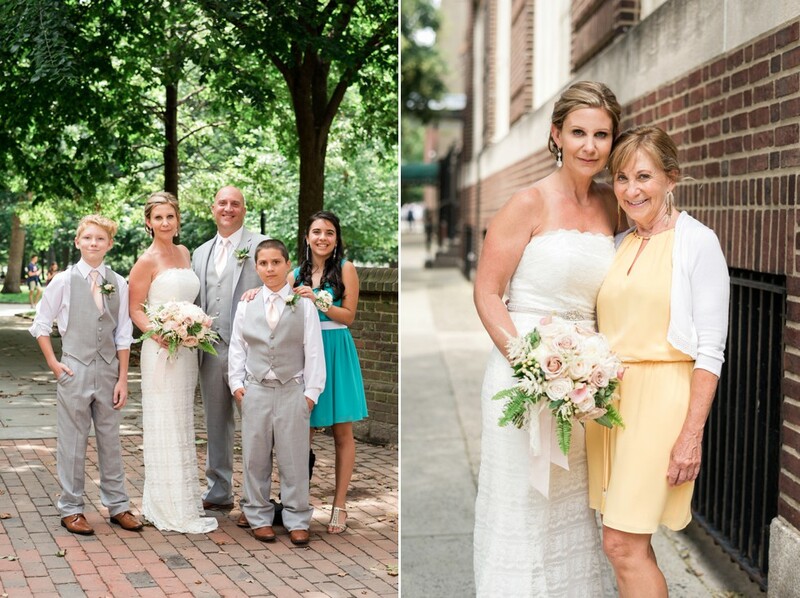 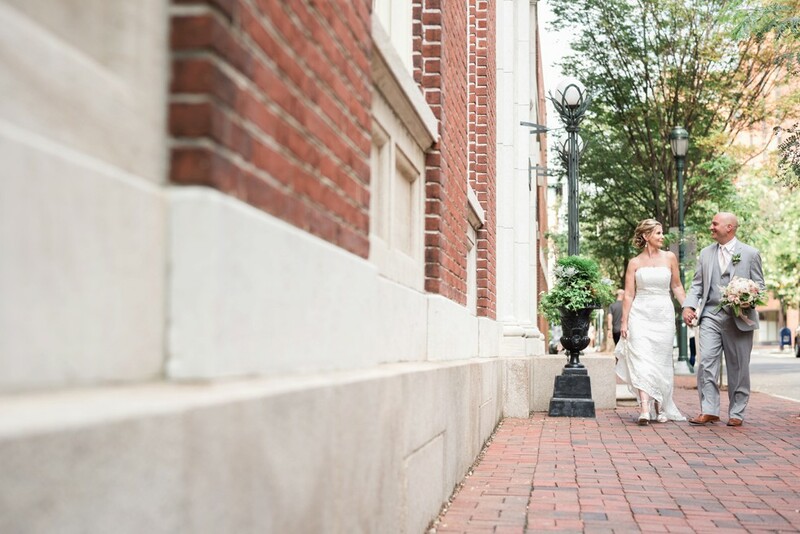 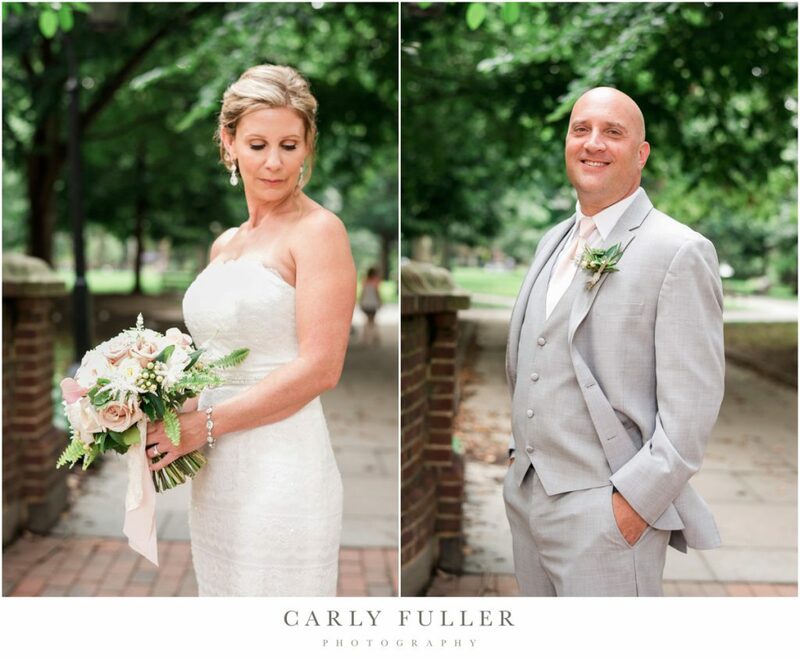 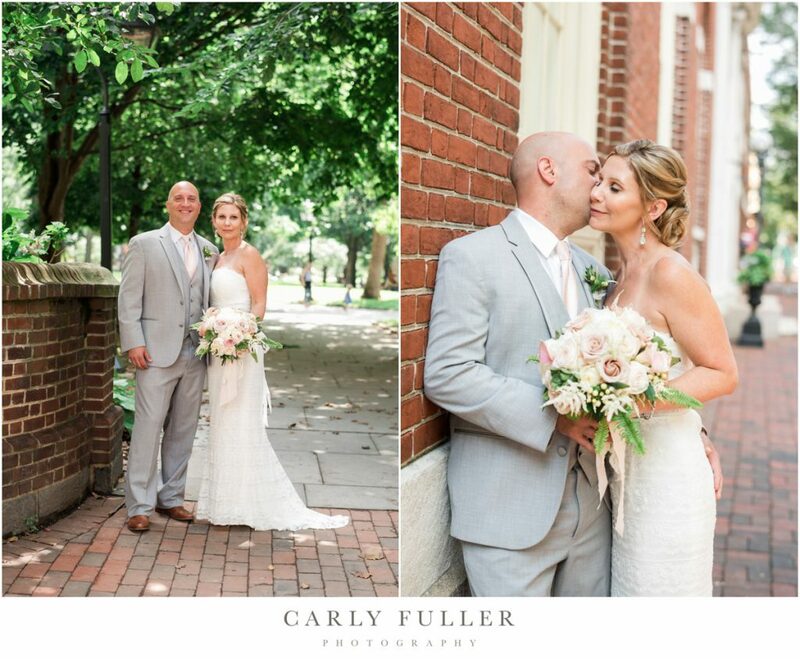 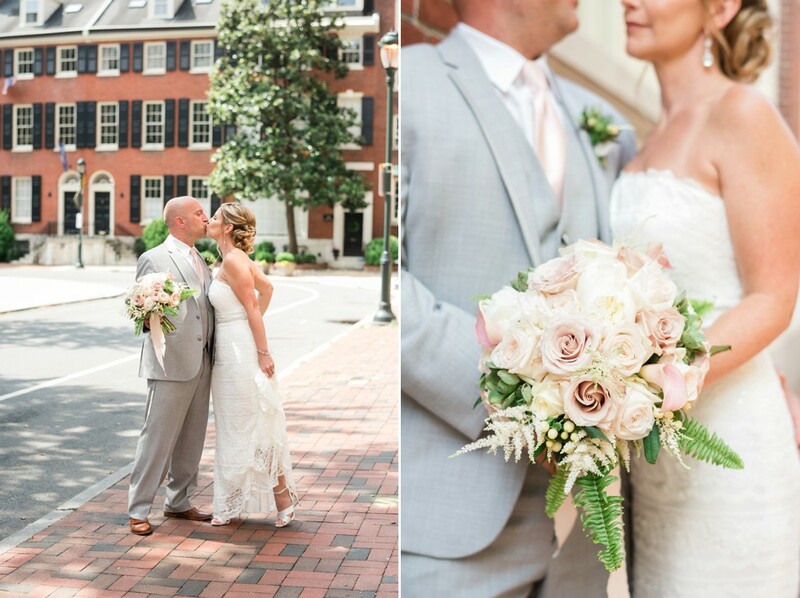 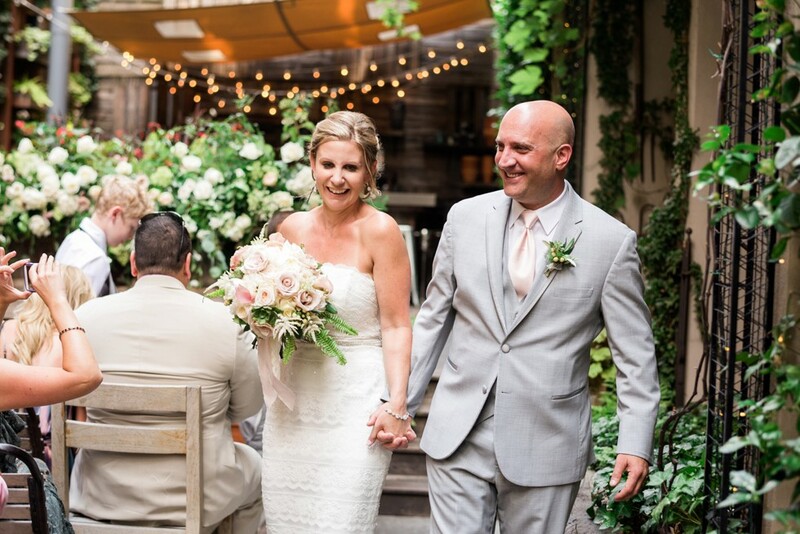 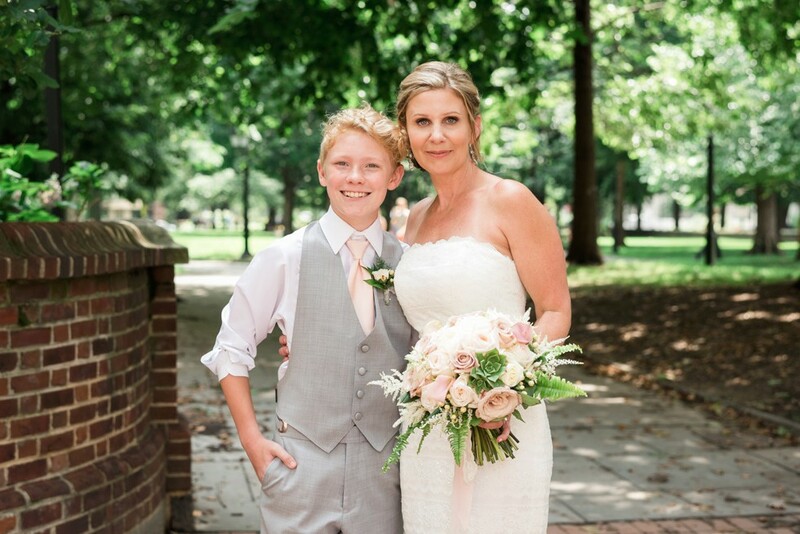 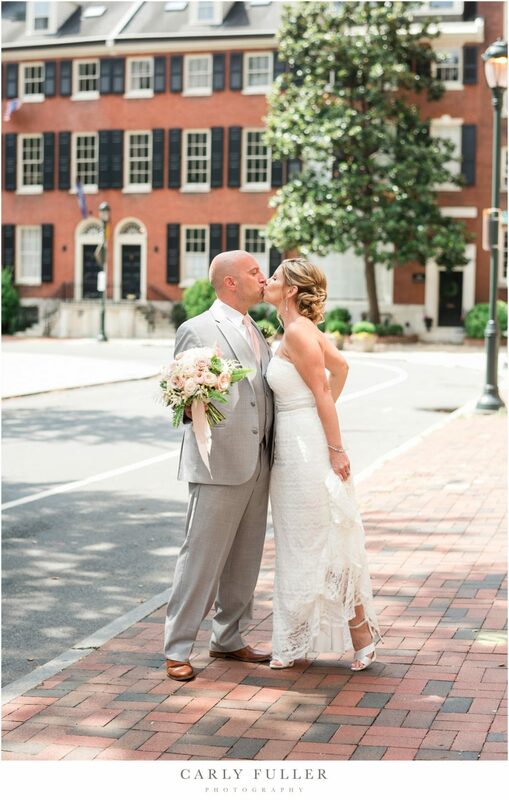 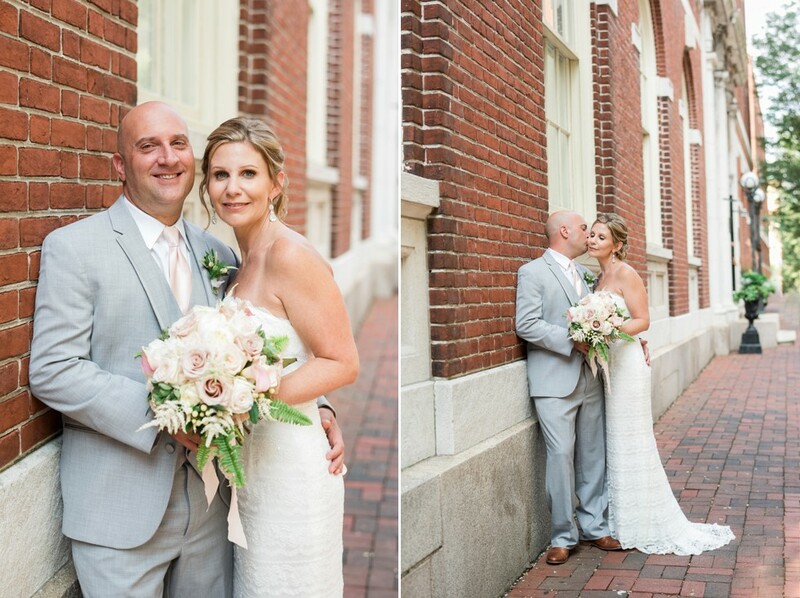 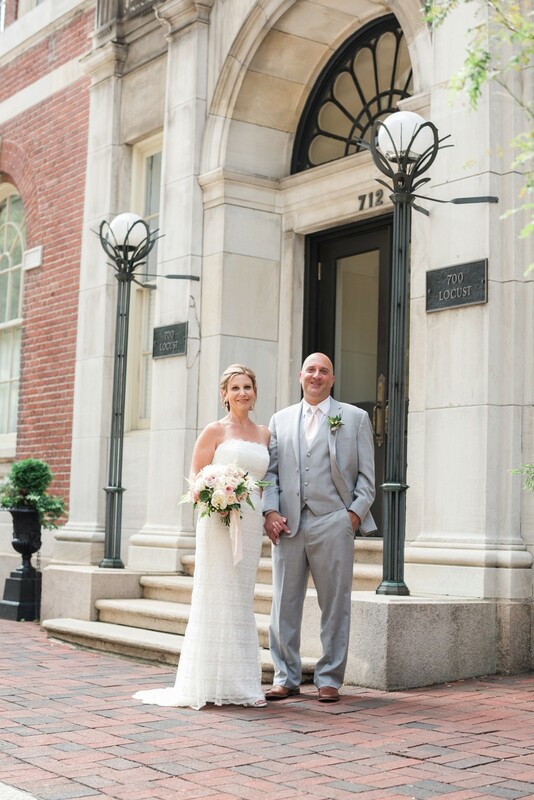 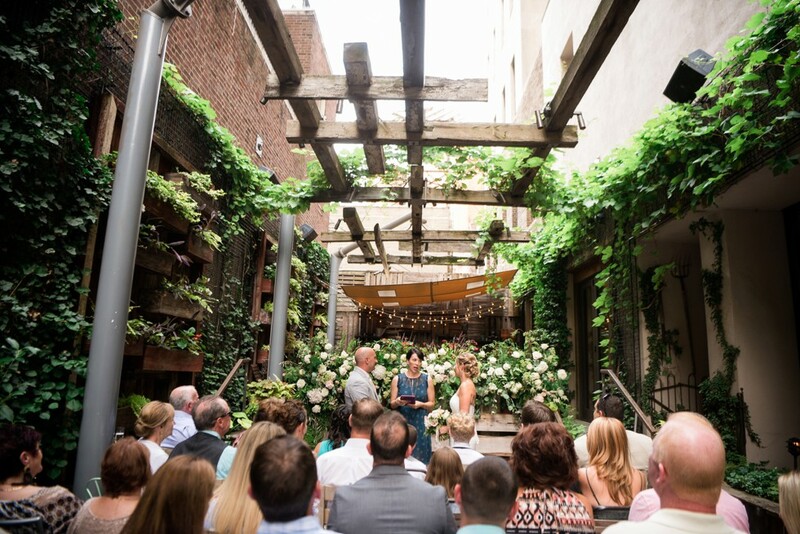 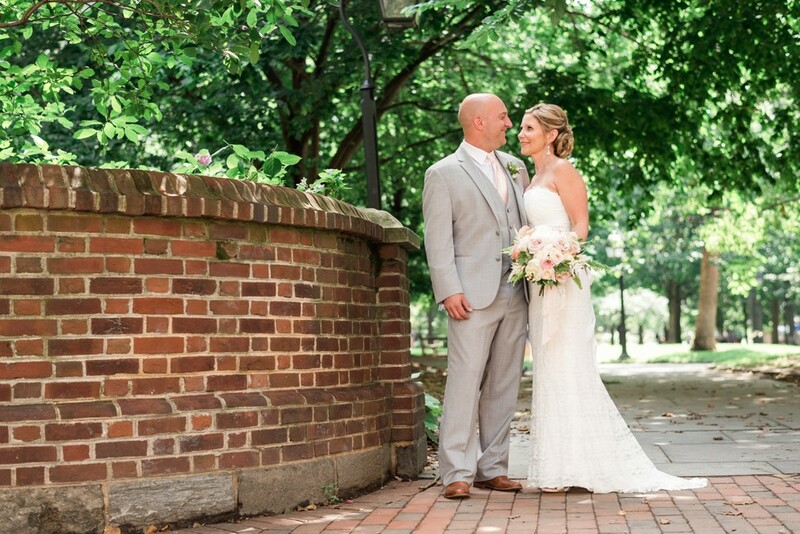 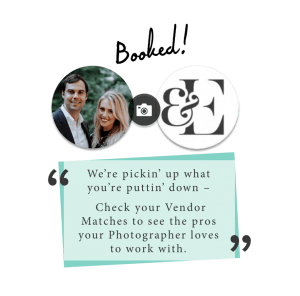 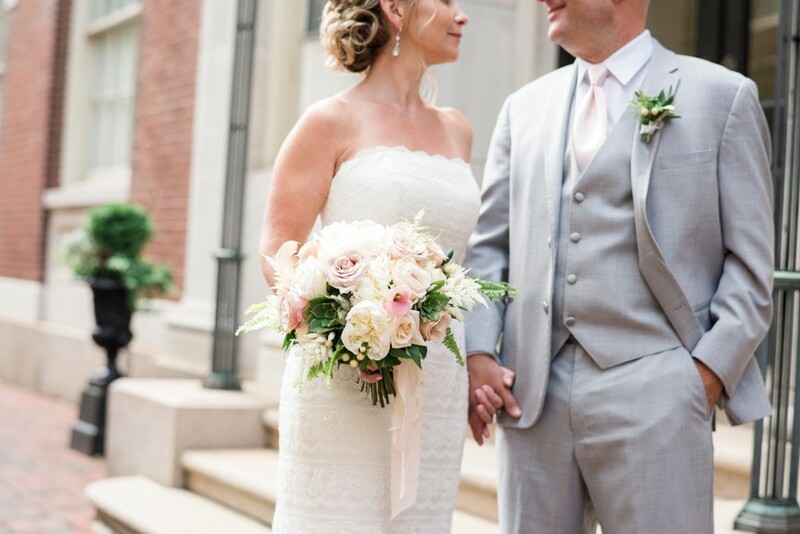 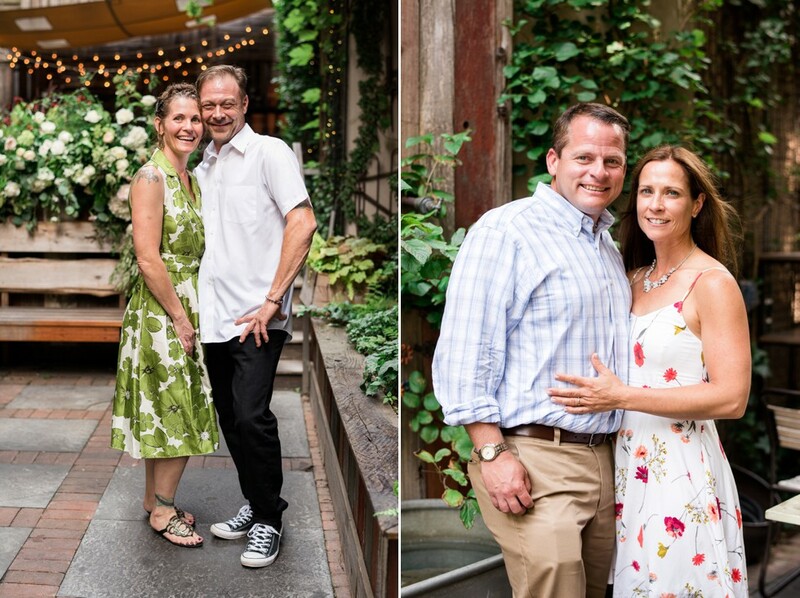 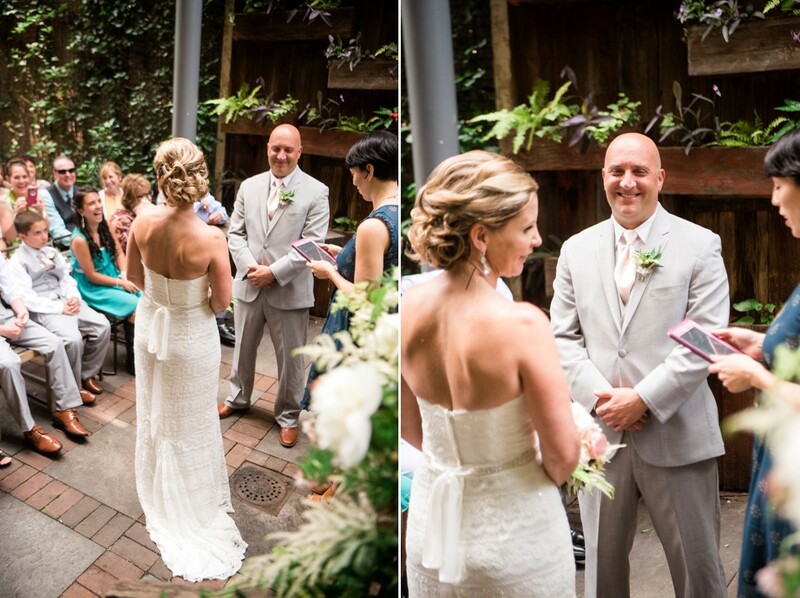 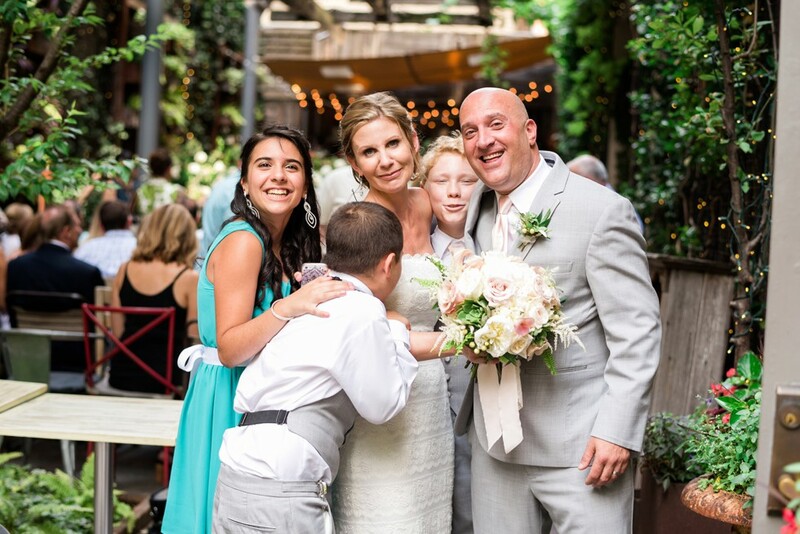 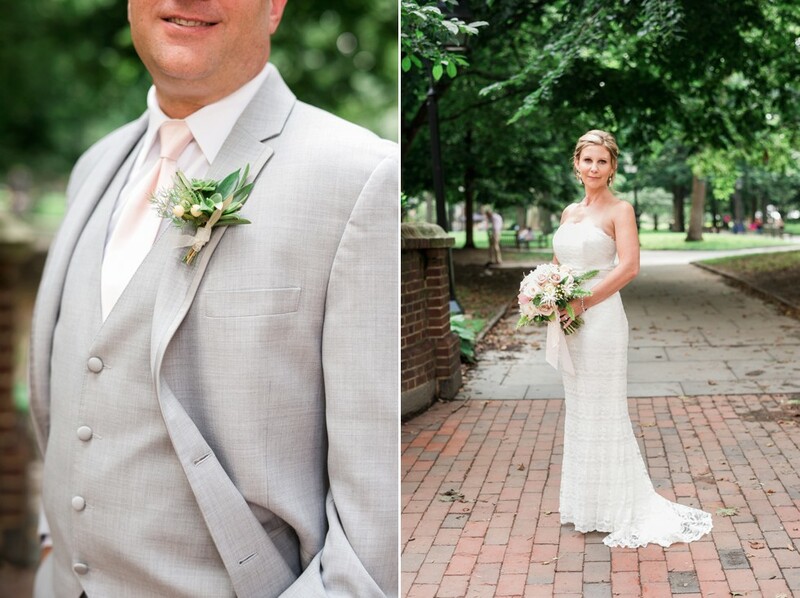 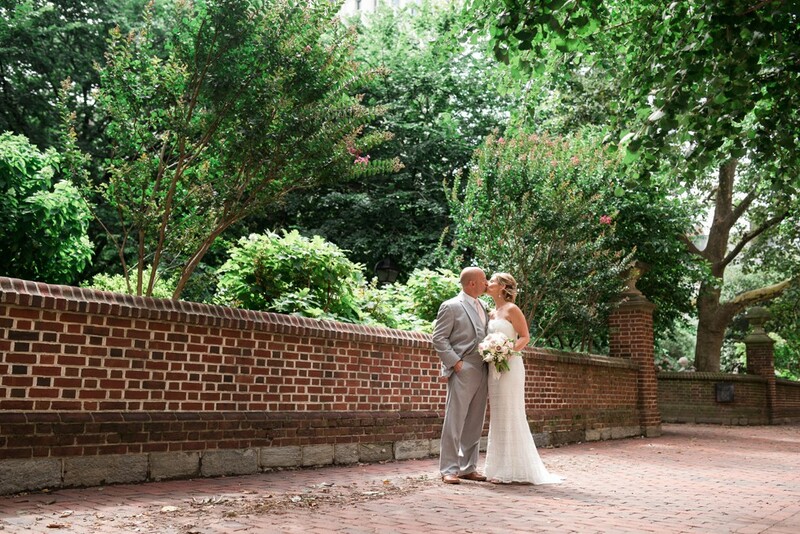 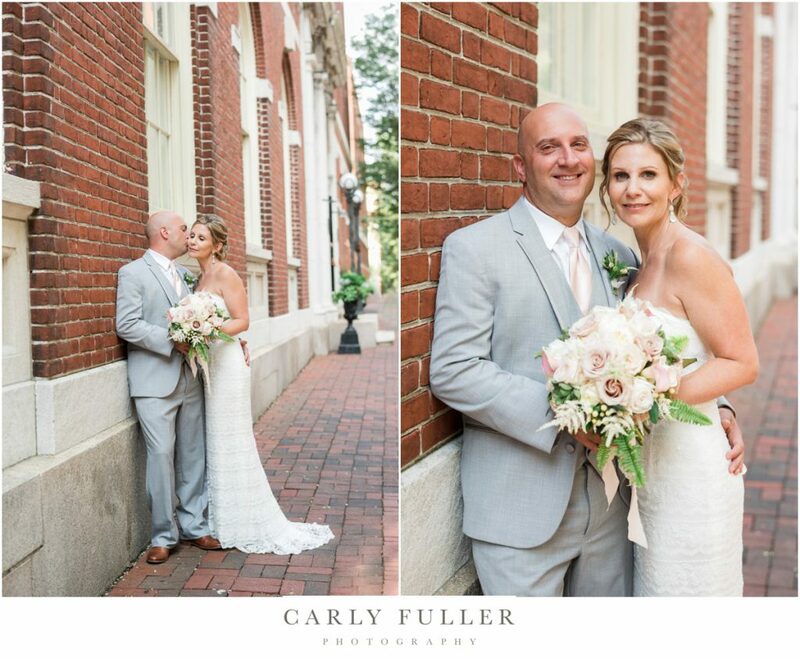 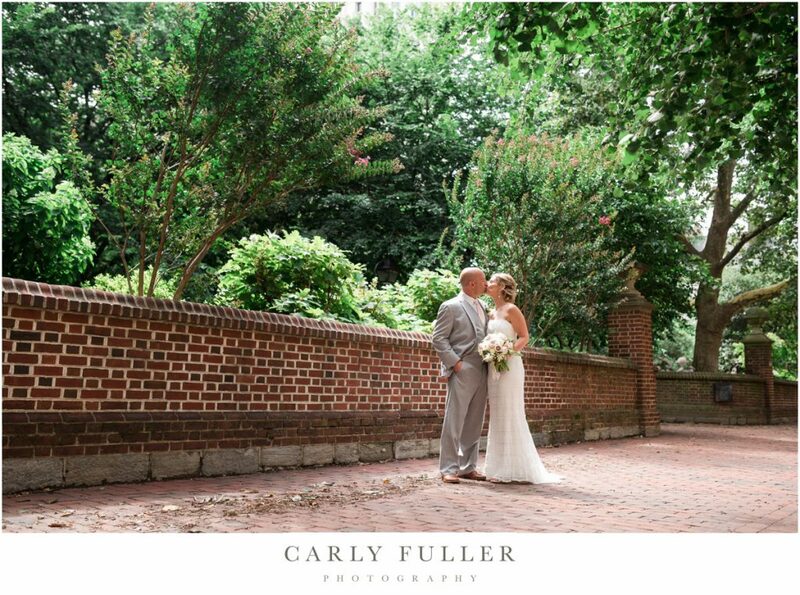 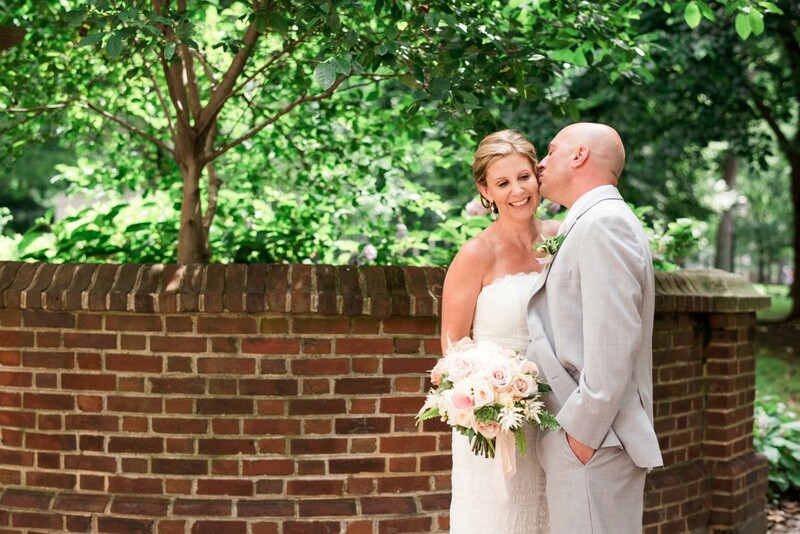 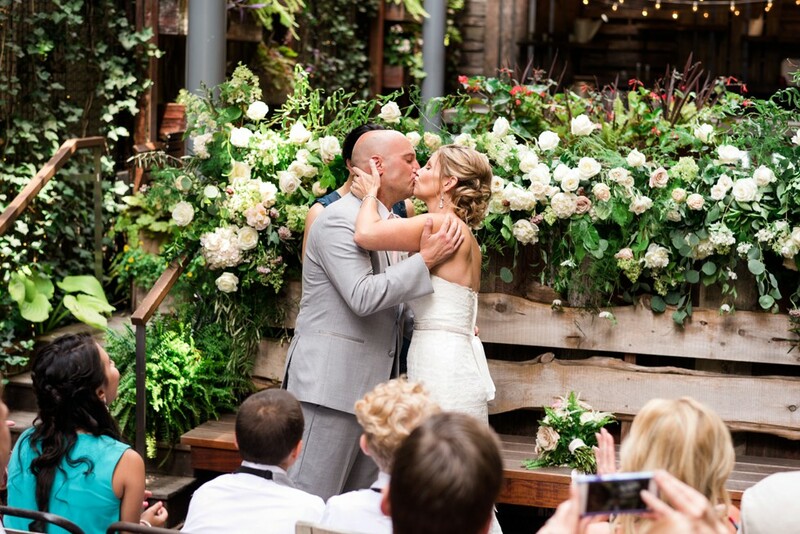 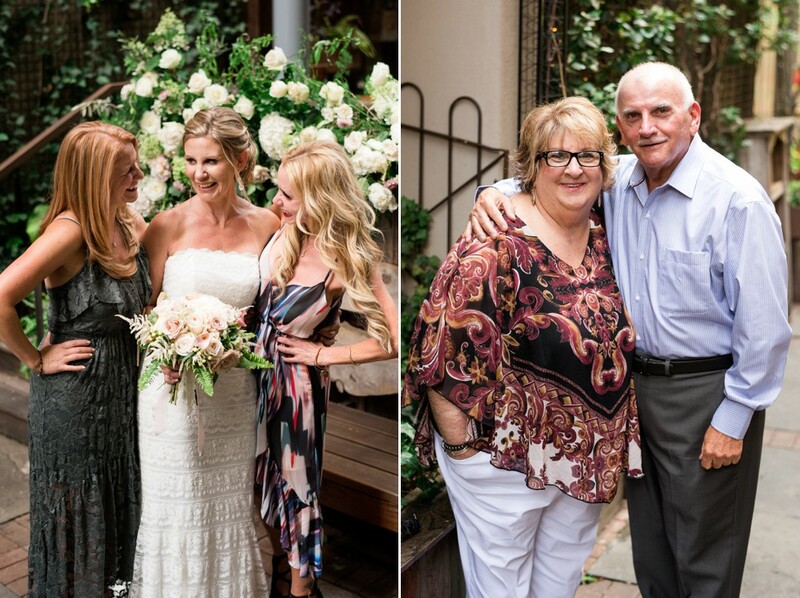 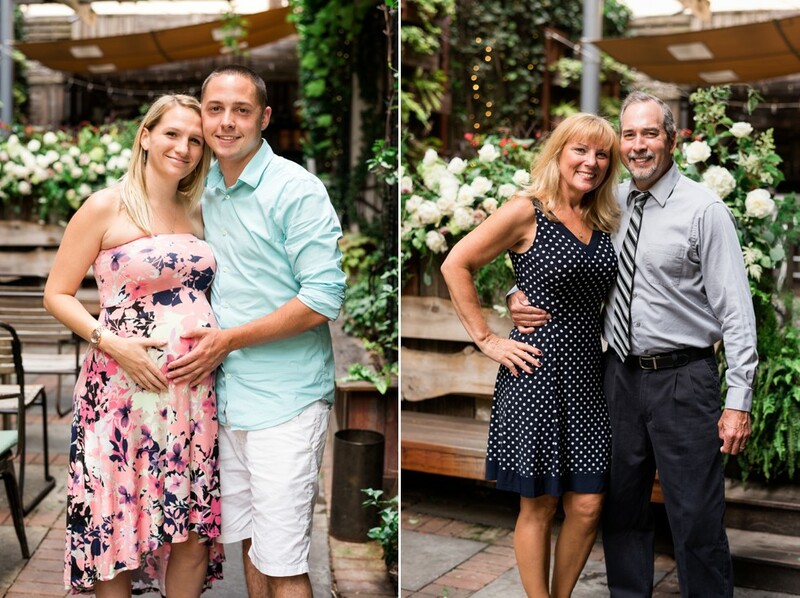 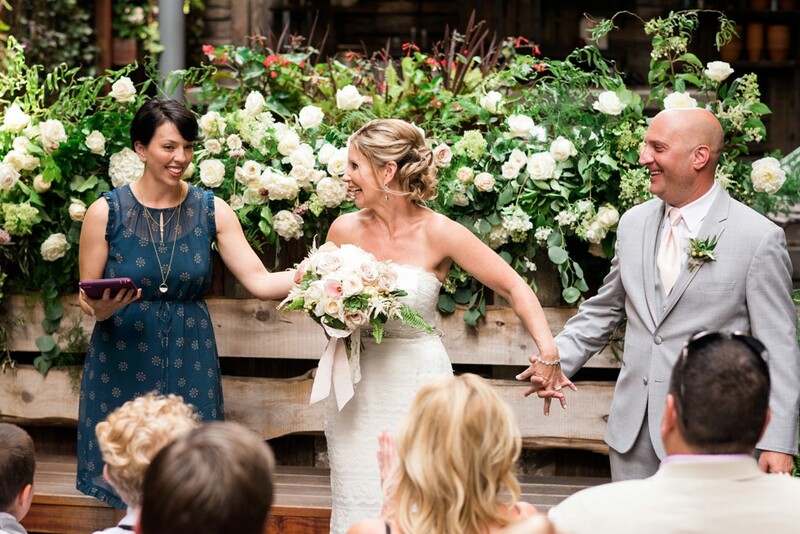 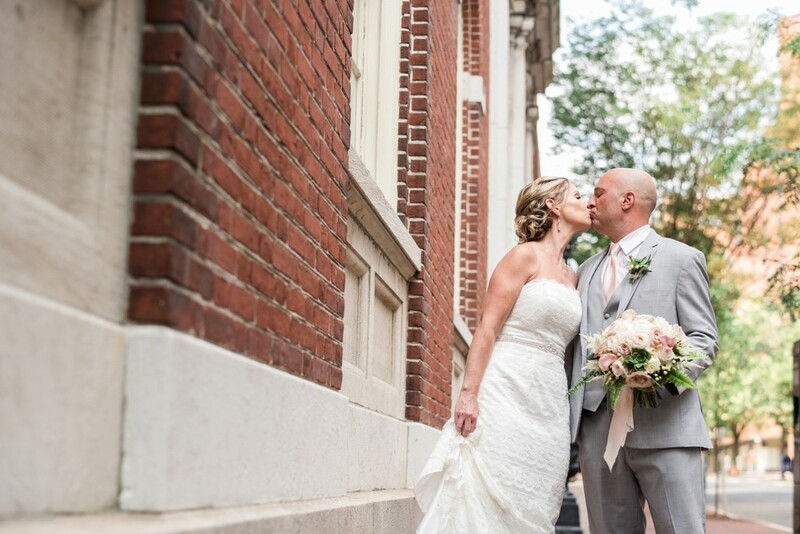 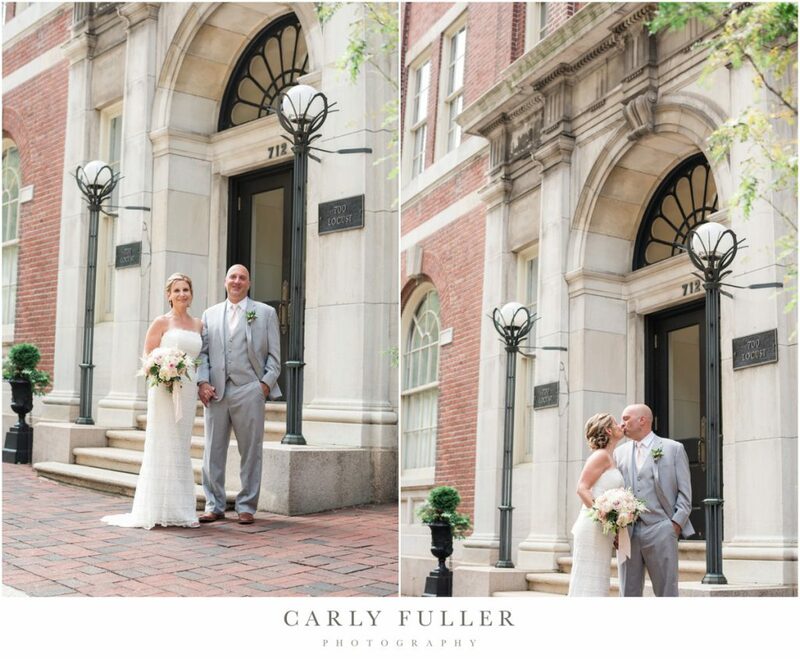 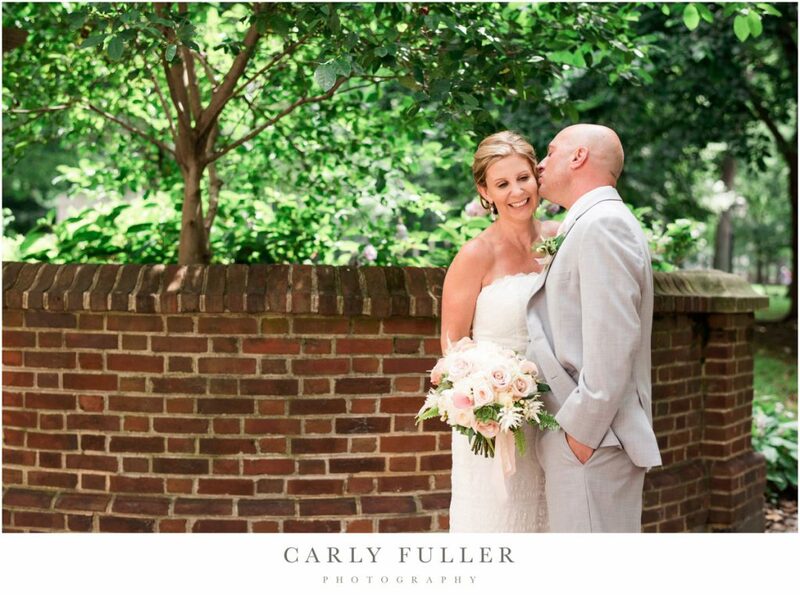 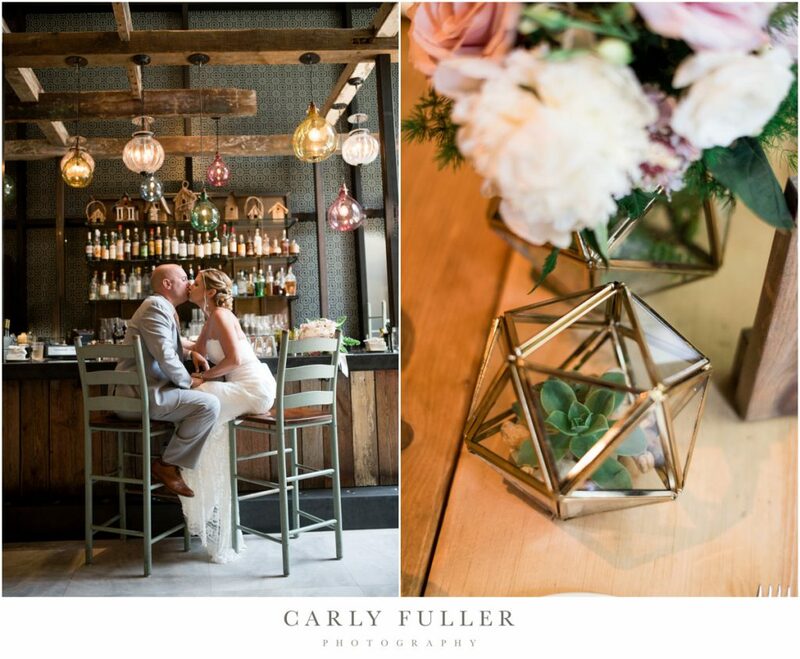 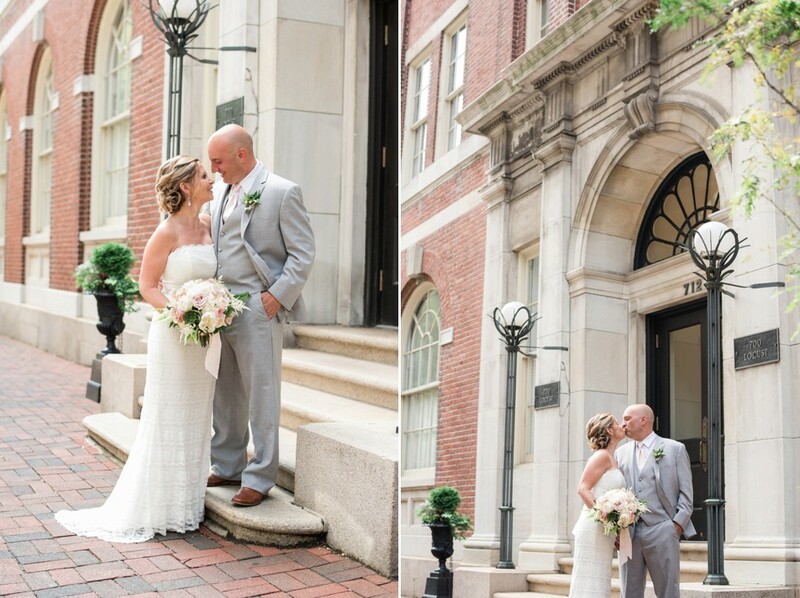 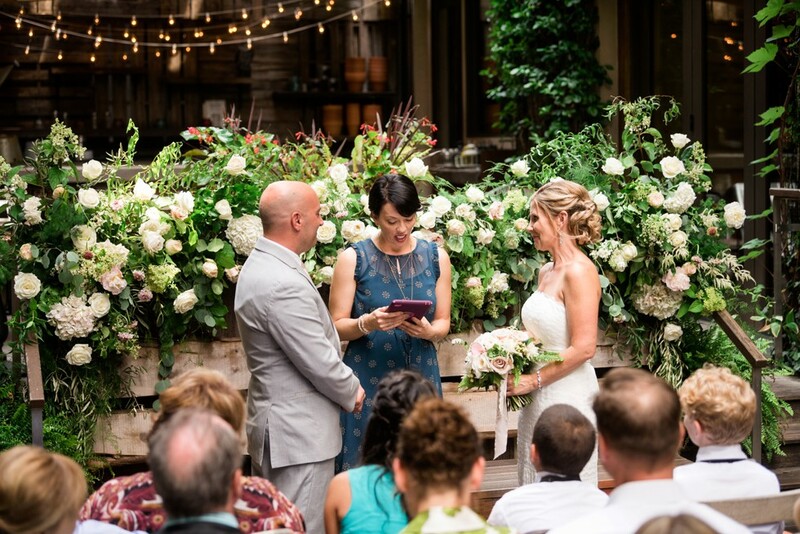 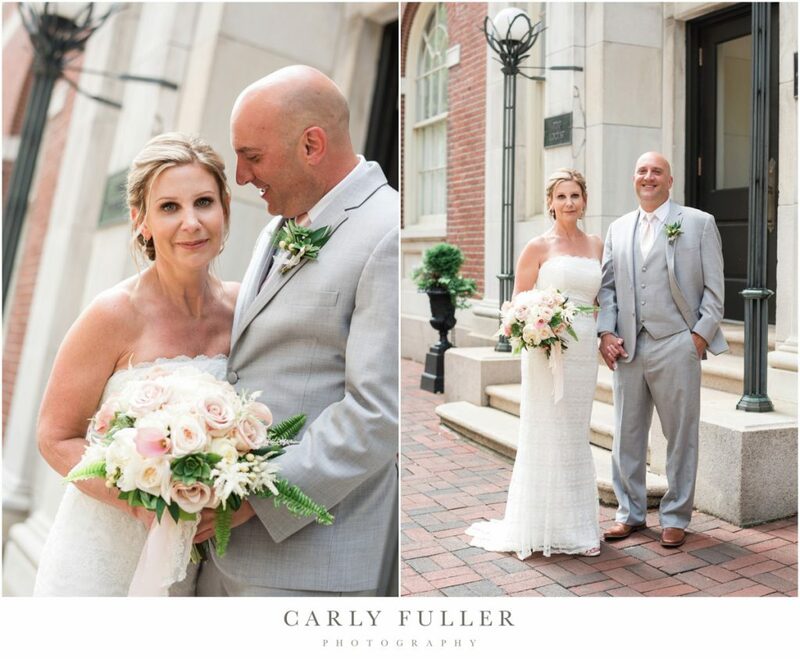 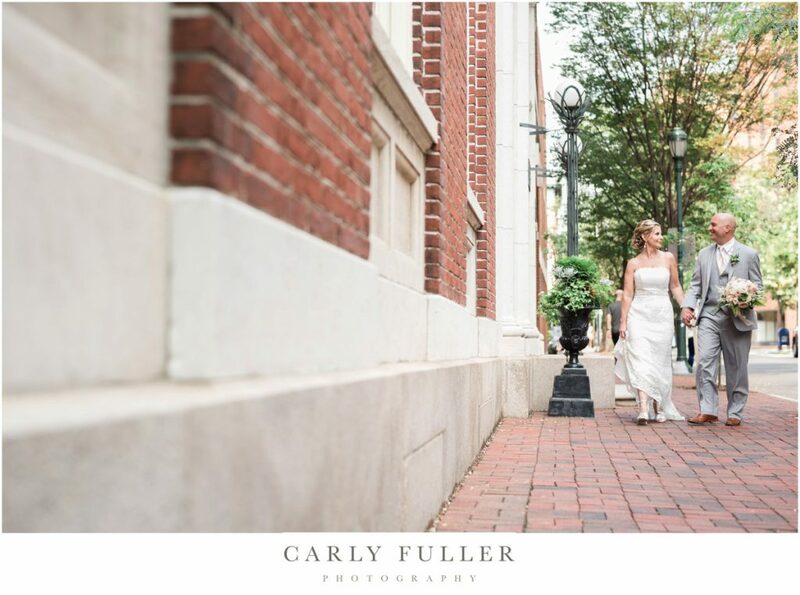 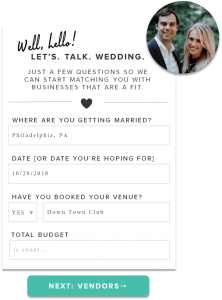 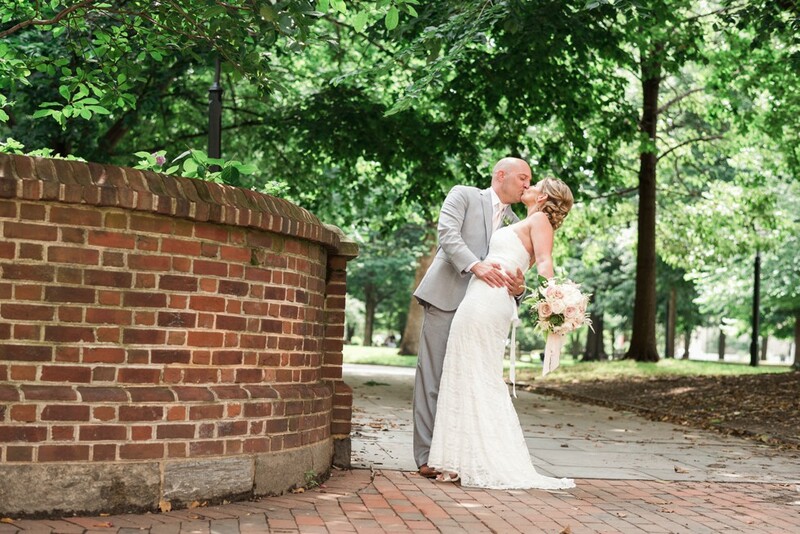 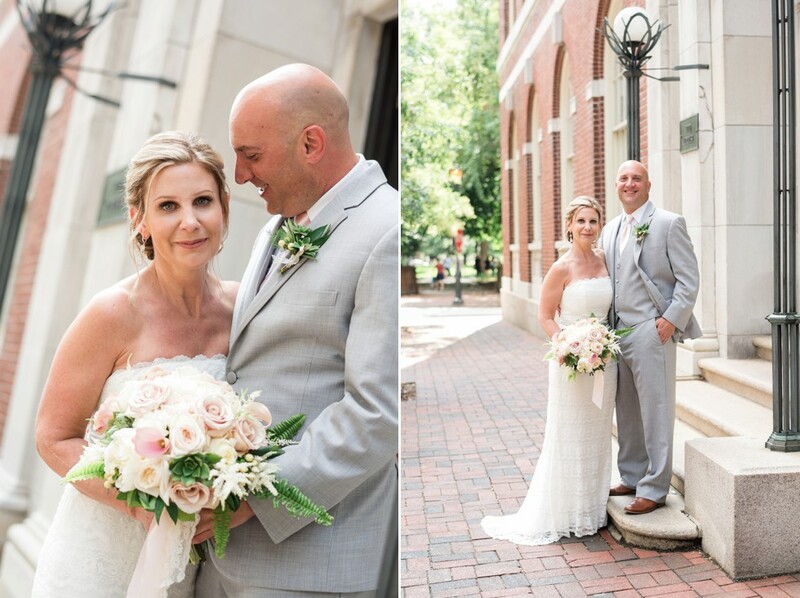 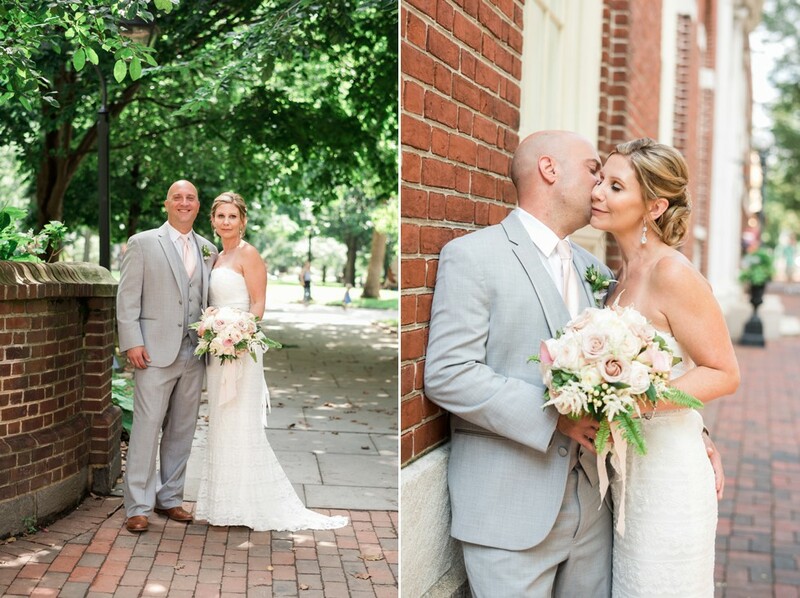 While planning their intimate wedding celebration with close friends and family, Kelly and Chris fell in love with Talula’s Garden in Washington Square in downtown Philadelphia. 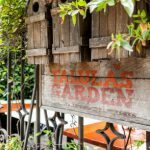 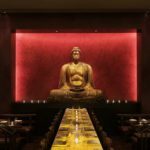 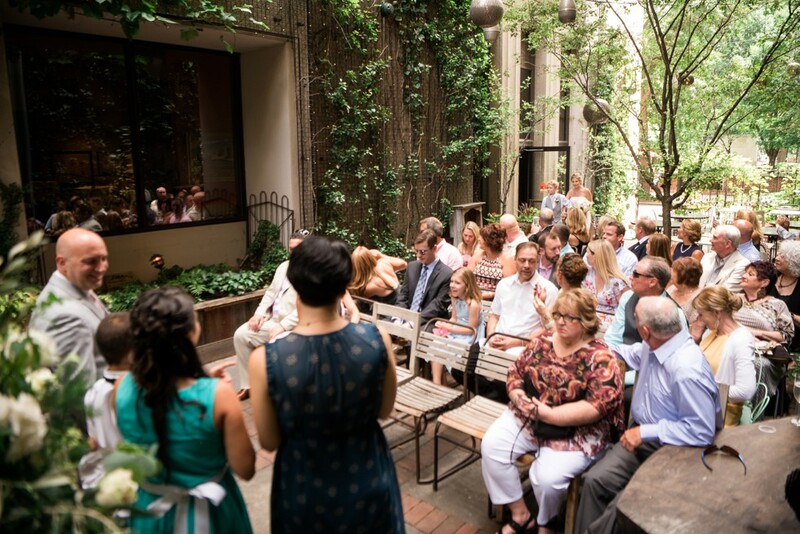 As an elegant restaurant with a gourmet market, Talula’s Garden has become a popular downtown restaurant in the middle of Society Hill. 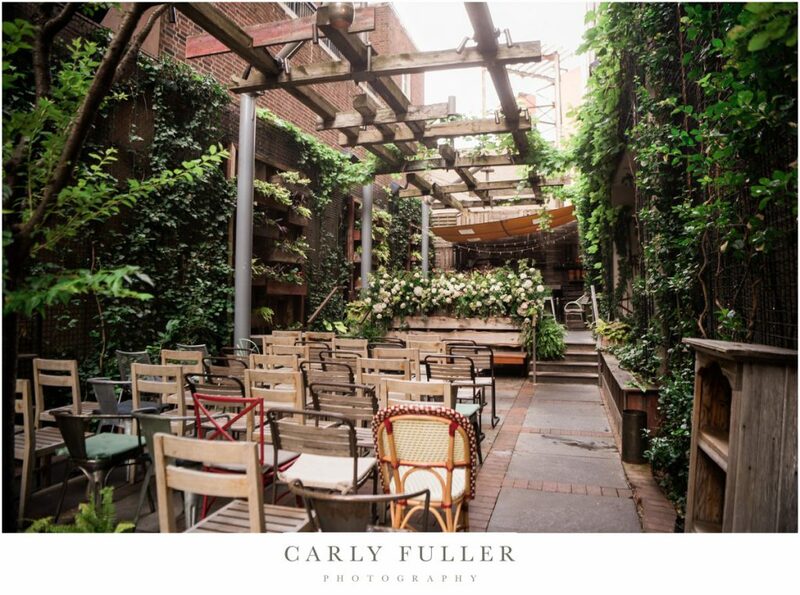 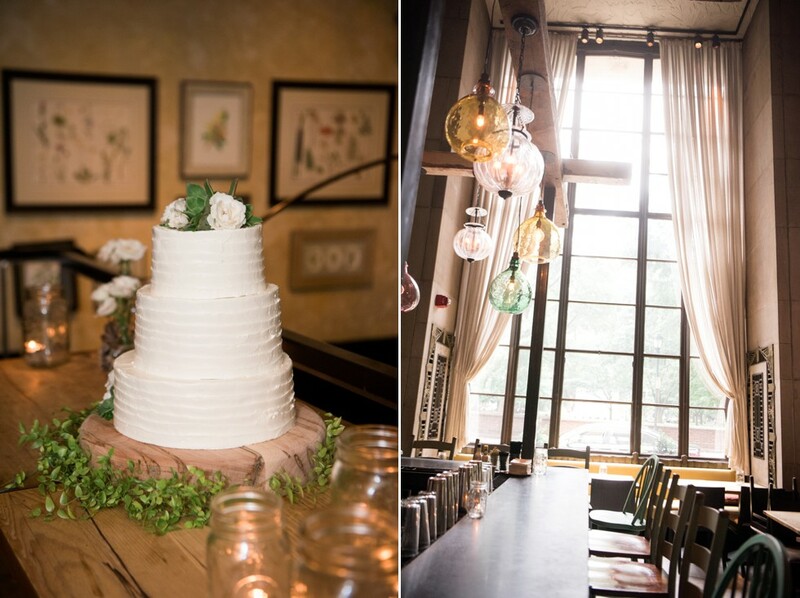 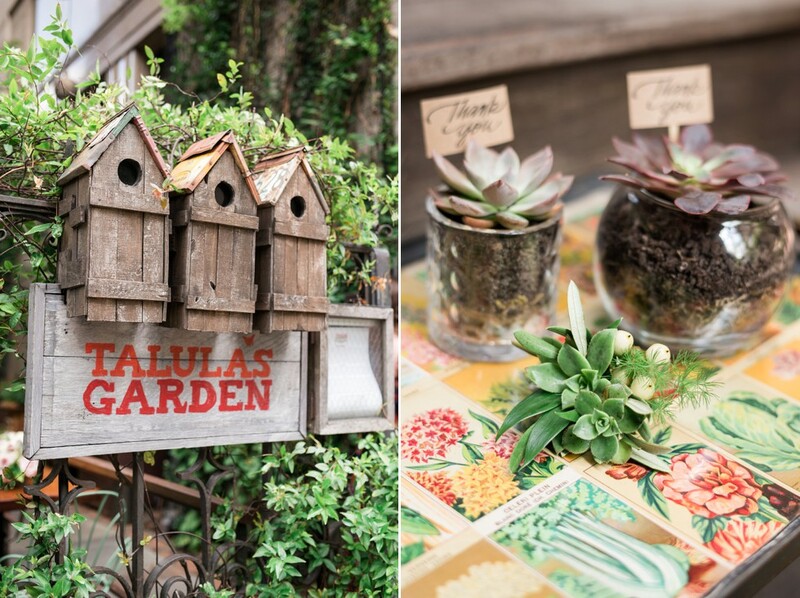 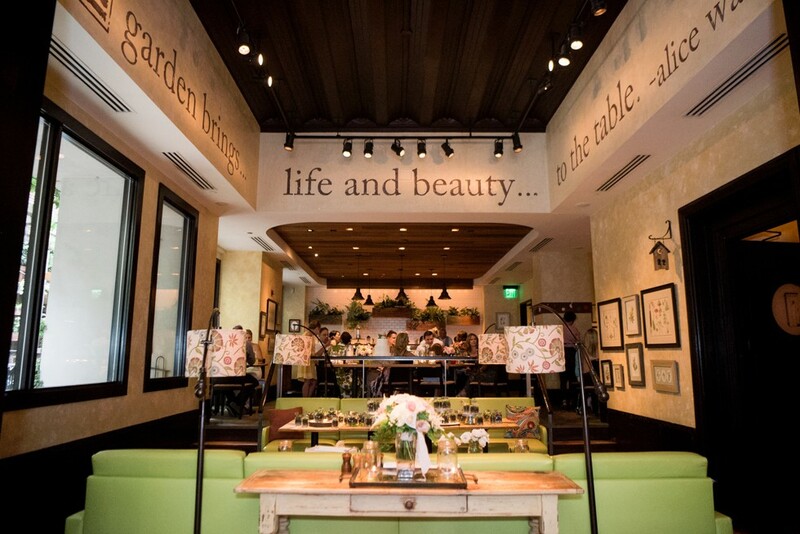 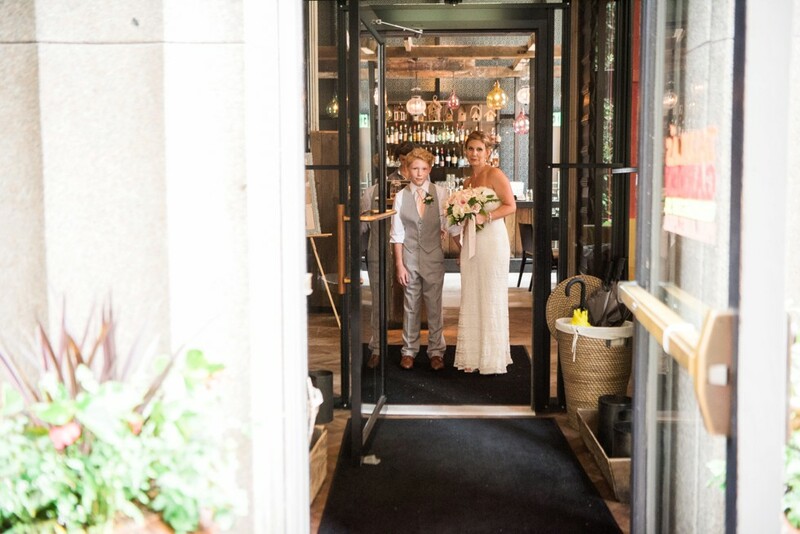 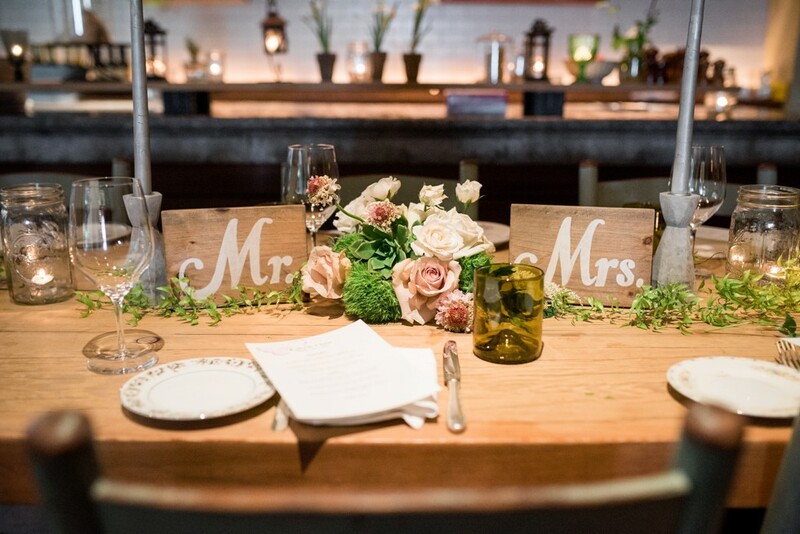 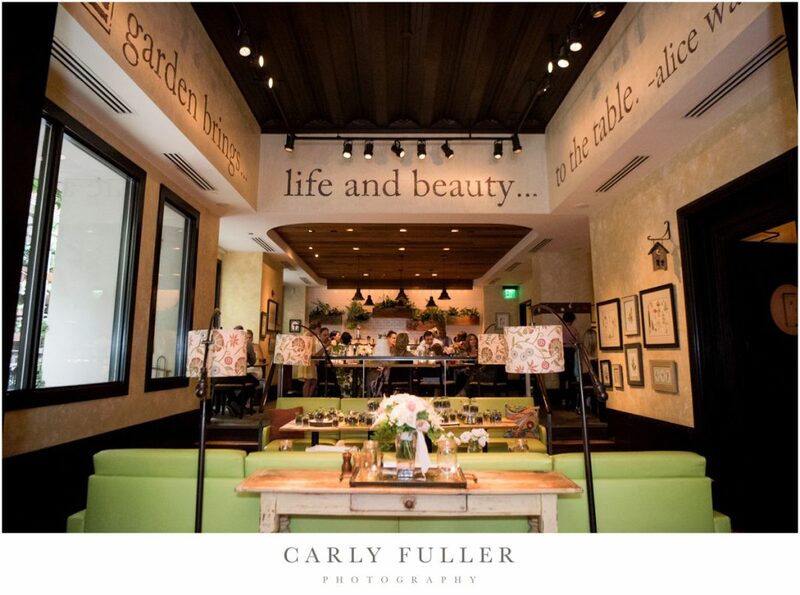 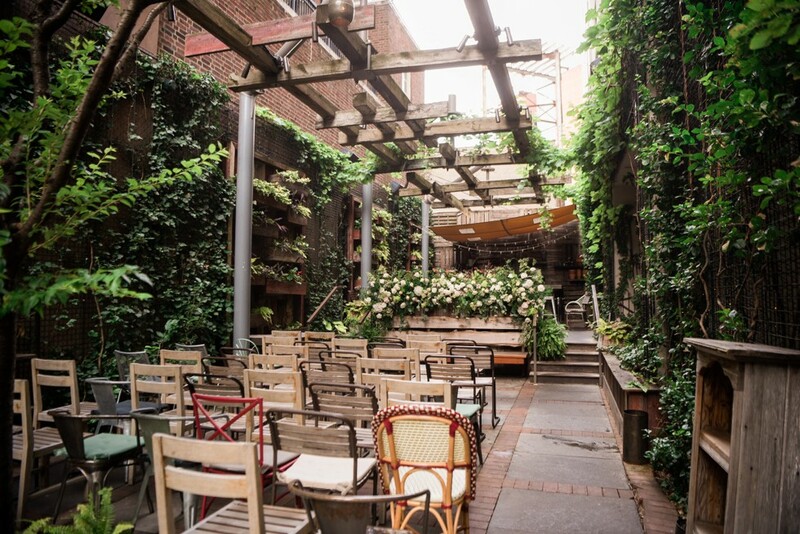 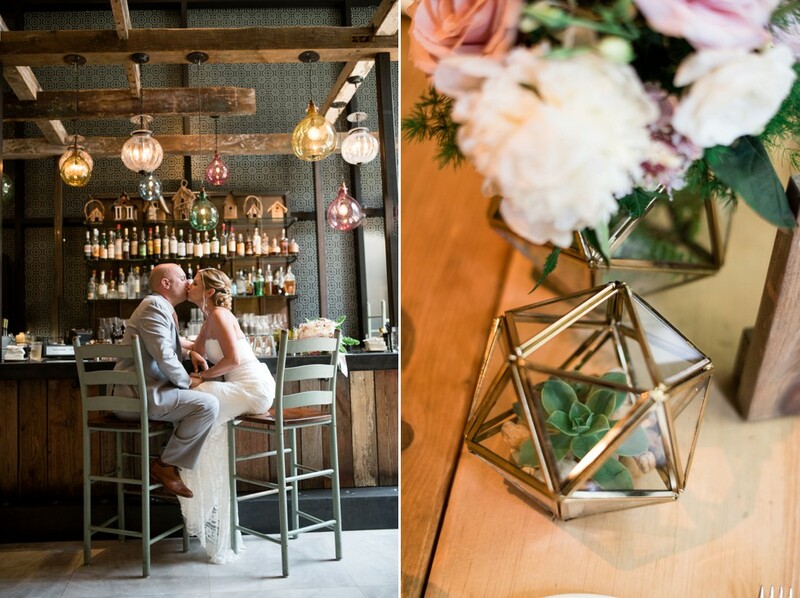 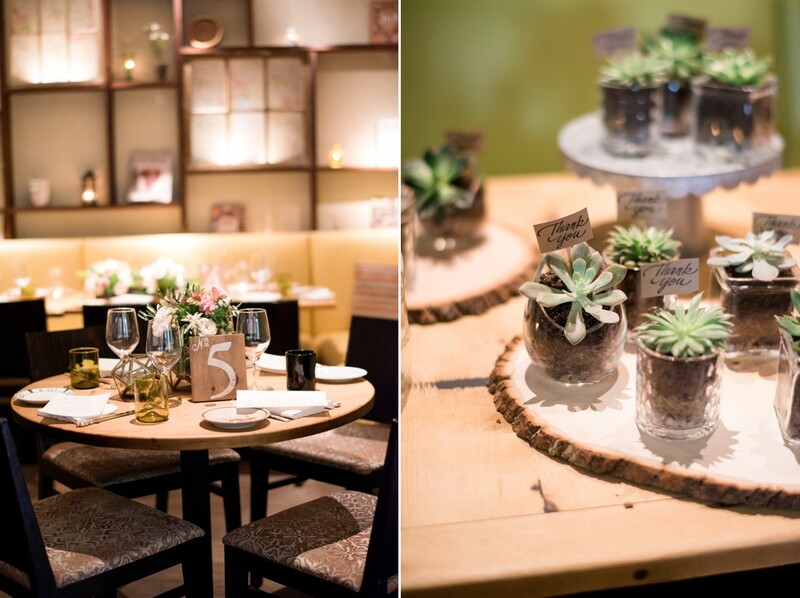 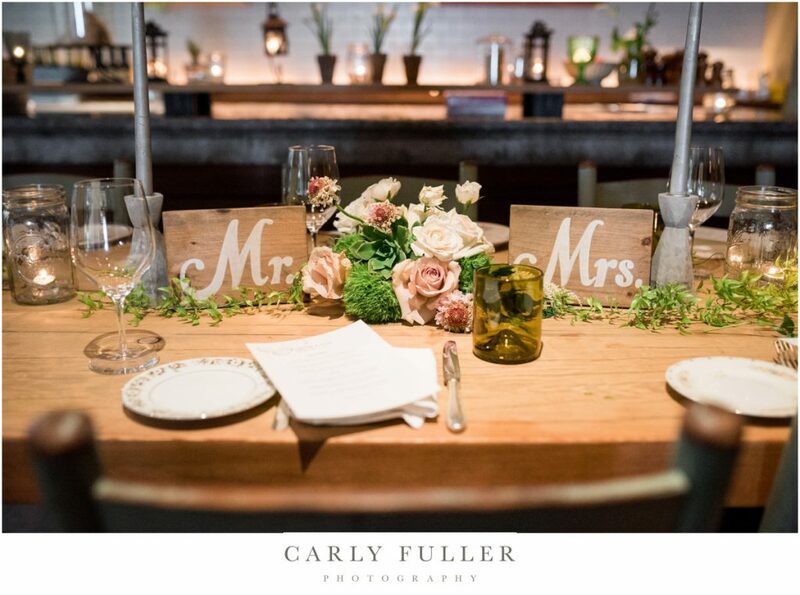 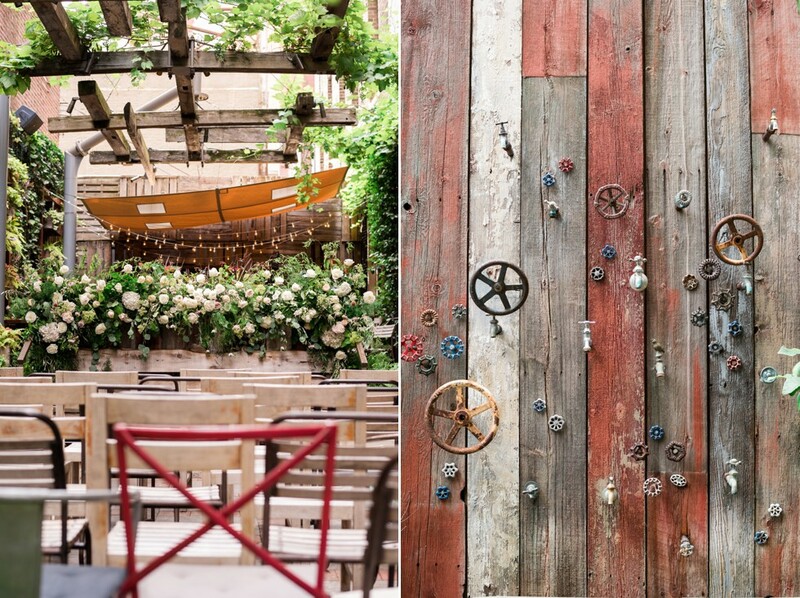 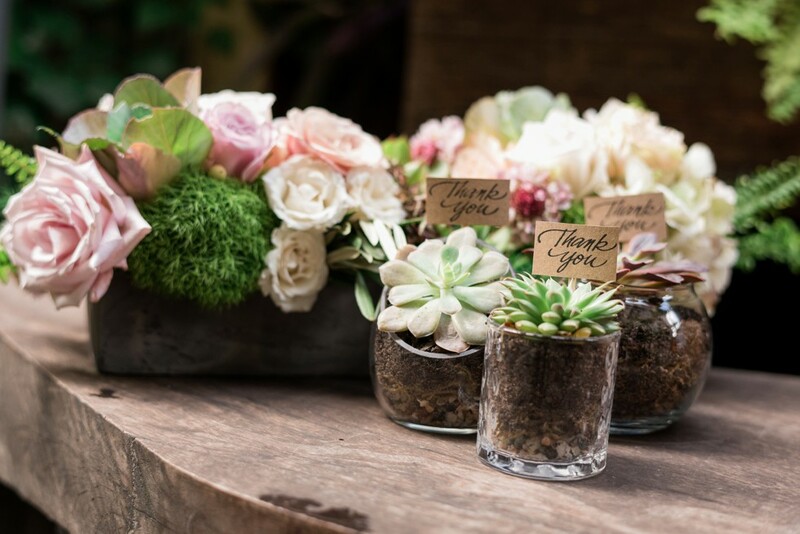 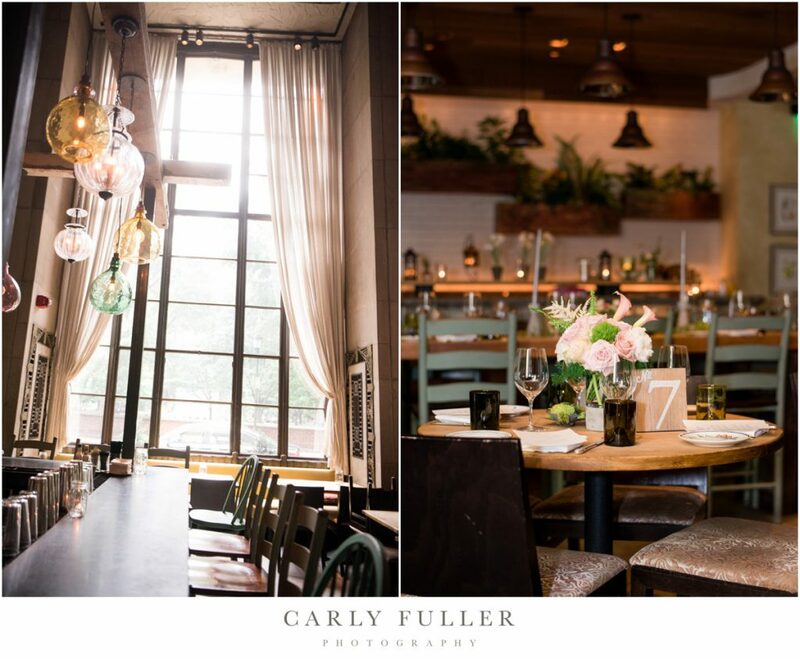 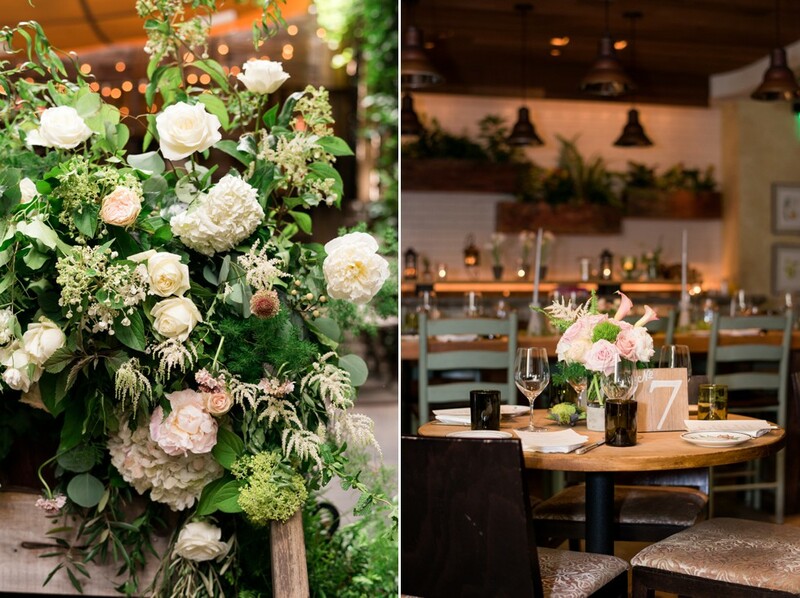 Described as a secret garden oasis, the farm-to-table restaurant was designed with rustic, chic elements and the garden courtyard offers a whimsical atmosphere with reclaimed wood and vintage details complemented by florals and greenery. 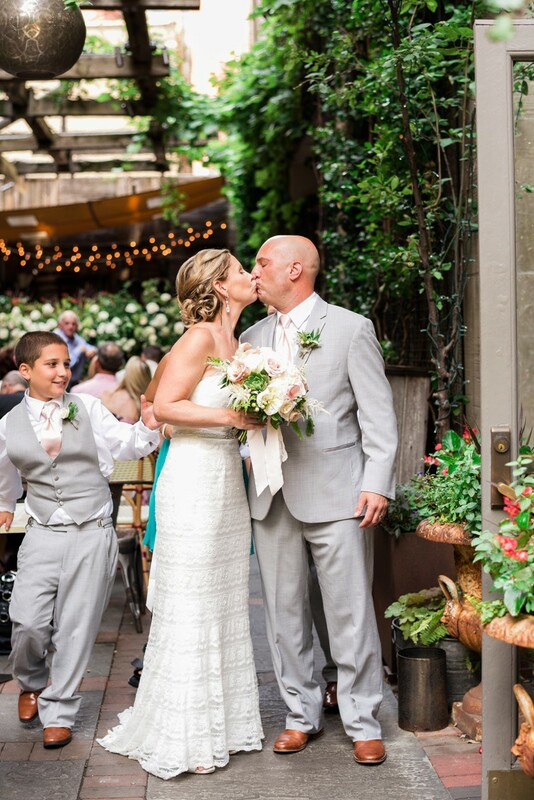 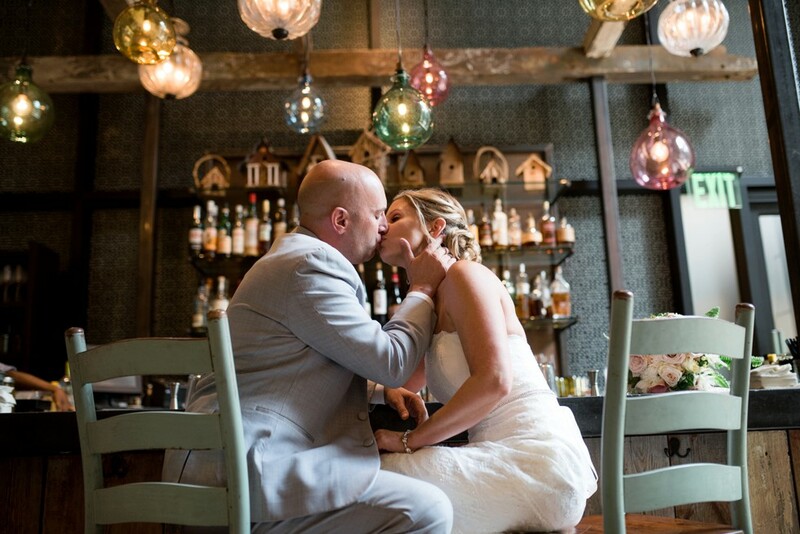 The restaurant and courtyard created a romantic scene on its own, Jennifer Designs Events helped Kelly and Chris design a wedding space that fit their unique wedding tastes and built on the enchanted event space. 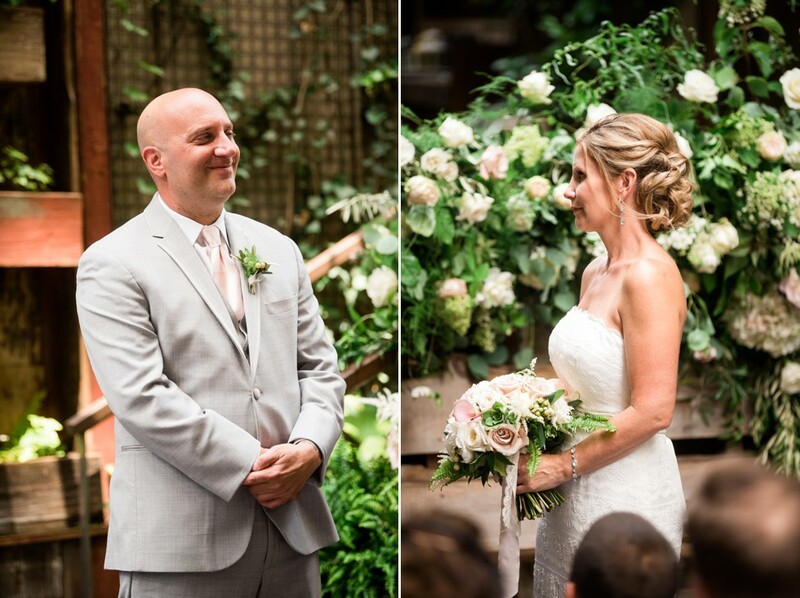 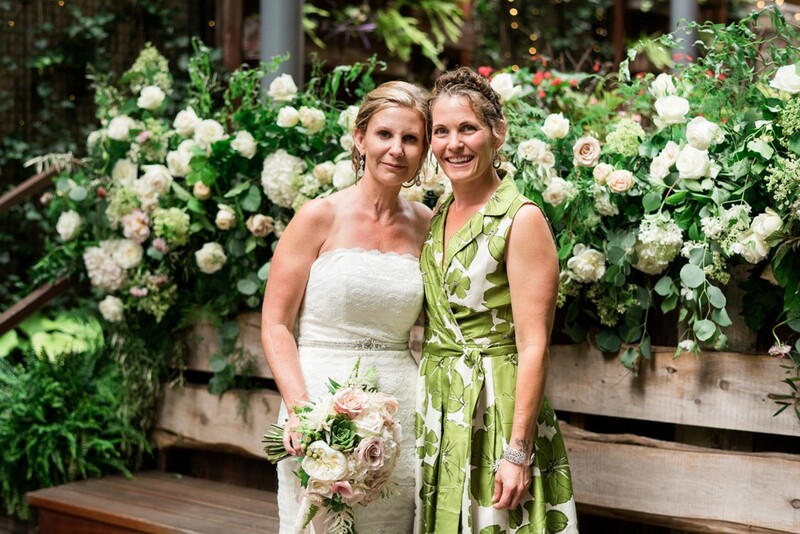 Together with @ramfloral and @texture-florals, Jennifer added beautiful white and blush flowers with delicate greenery accents to the ceremony and reception space. 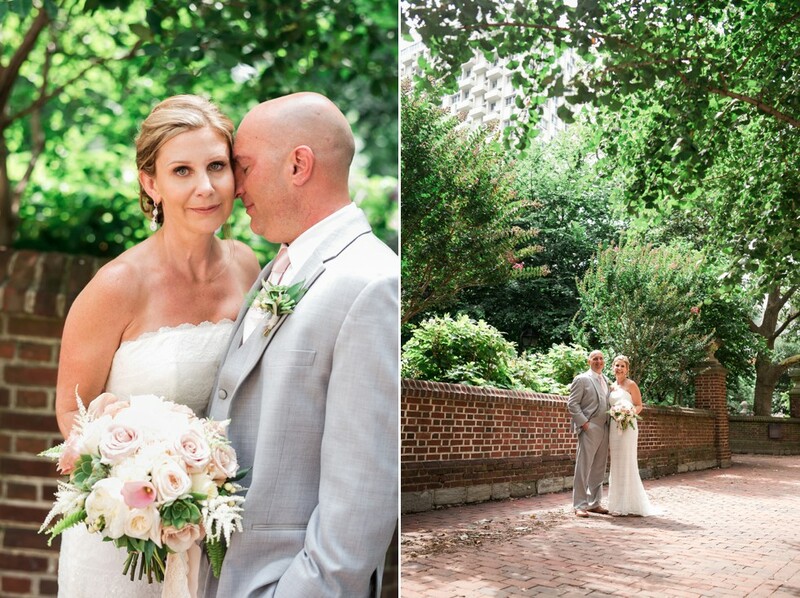 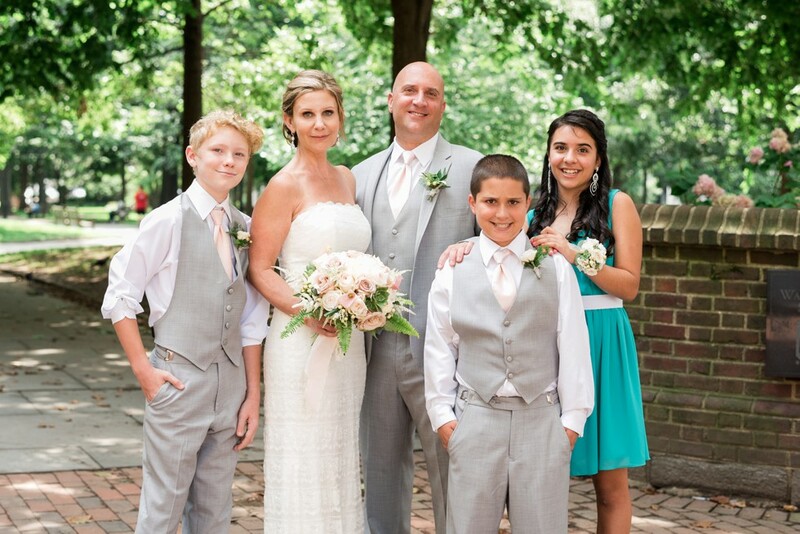 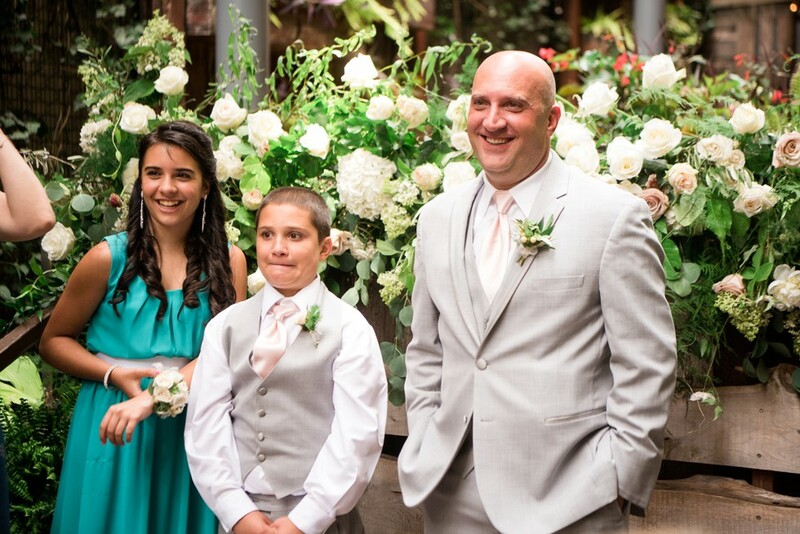 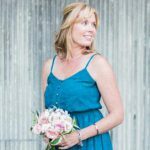 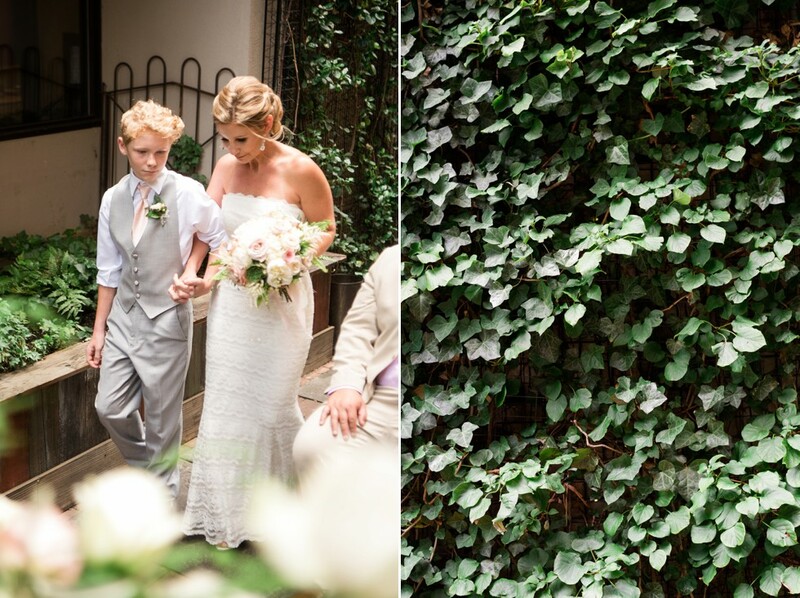 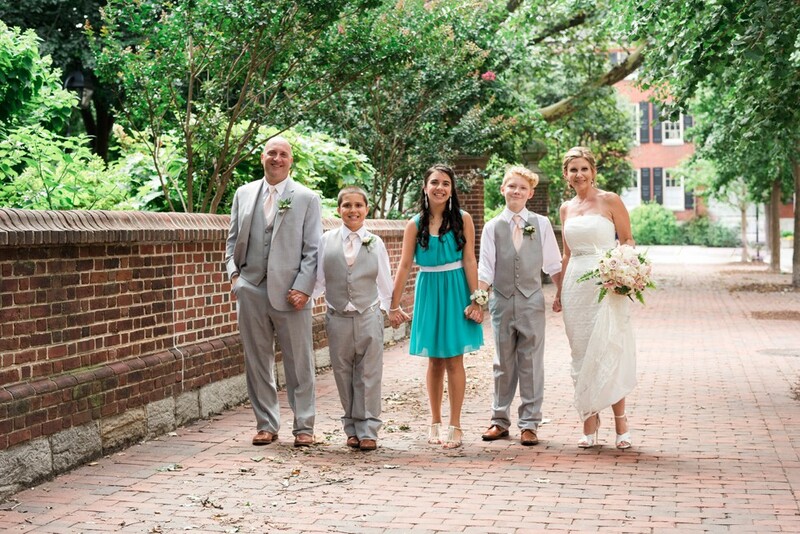 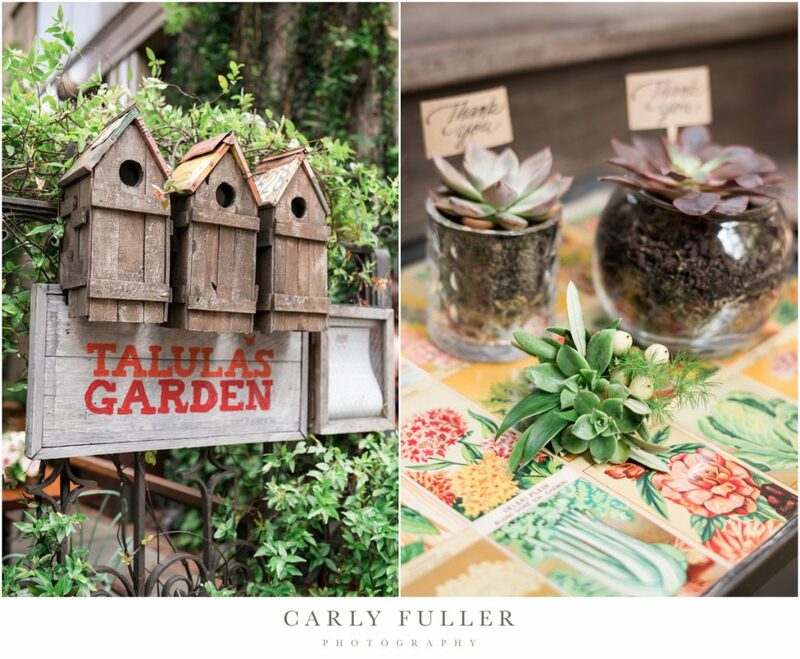 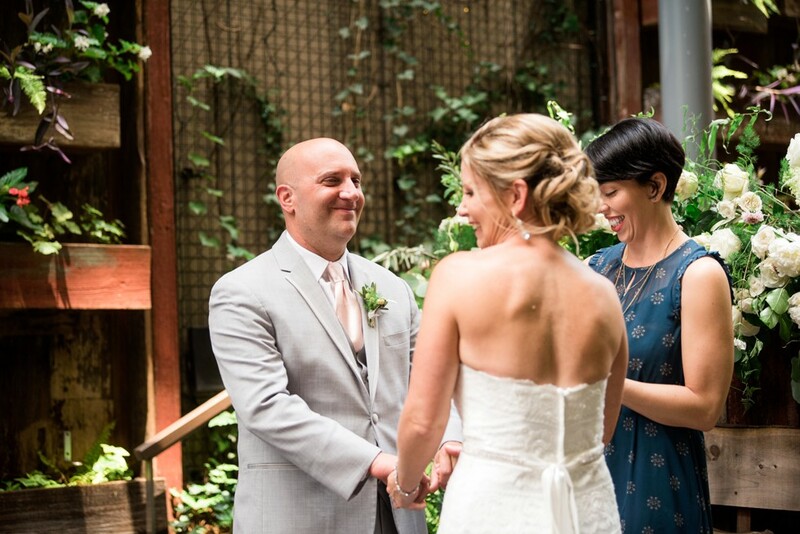 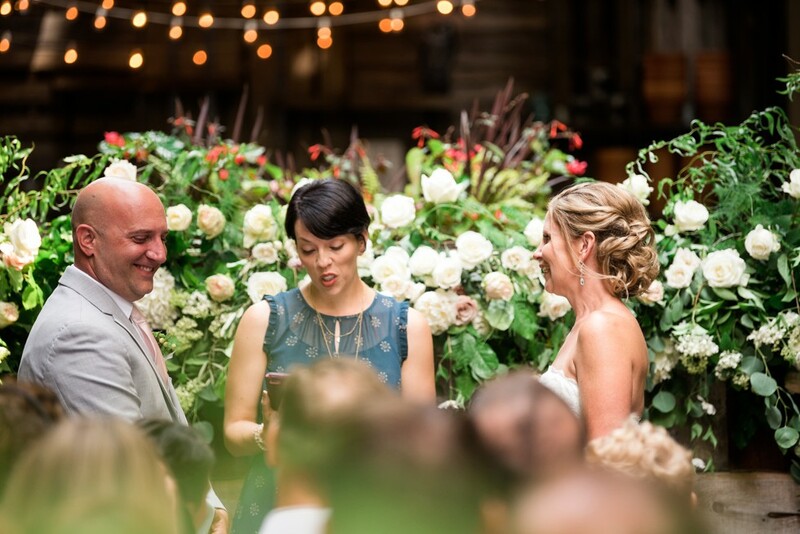 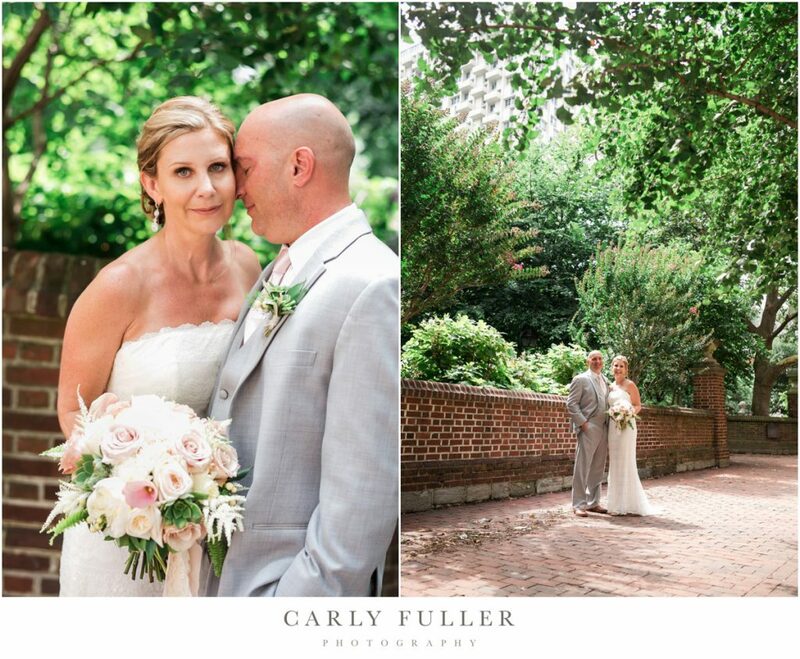 The already romantic garden venue was transformed into Kelly and Chris’s intimate garden wedding. 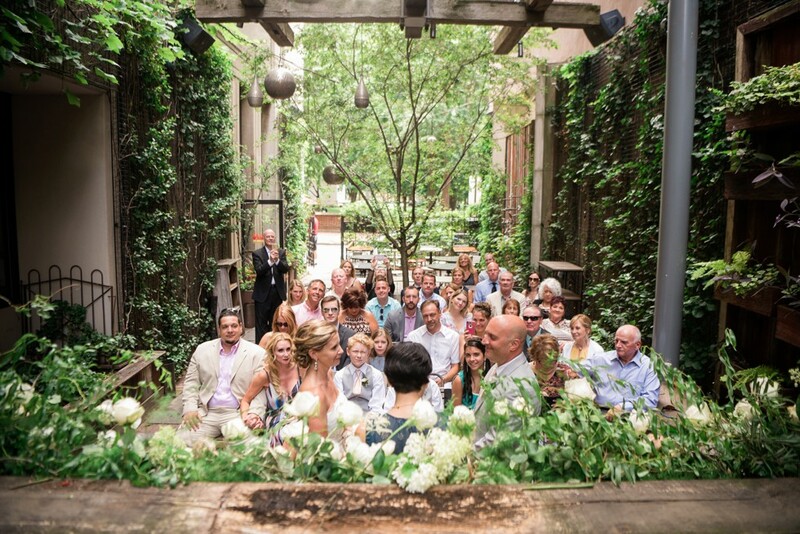 Wedding photos in Talula's Garden Bar.